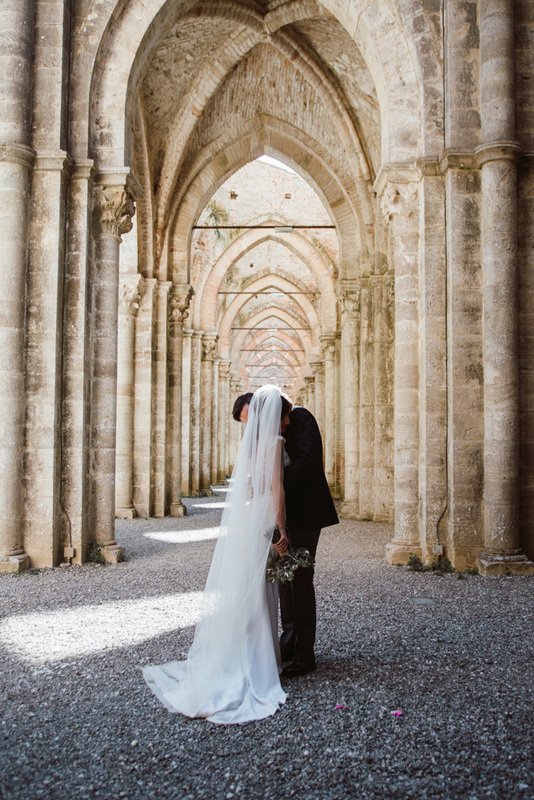 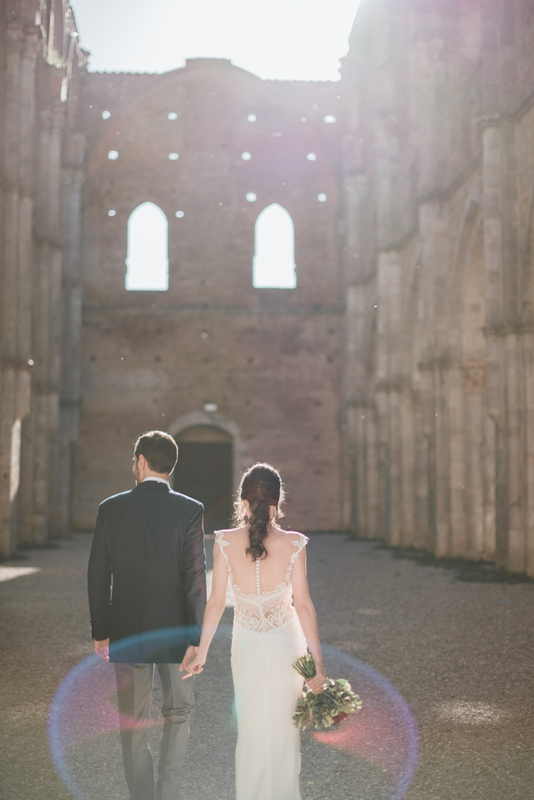 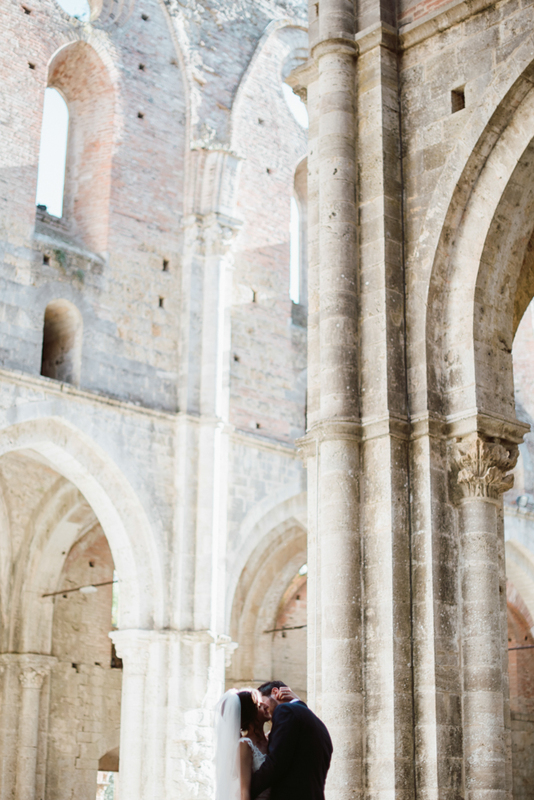 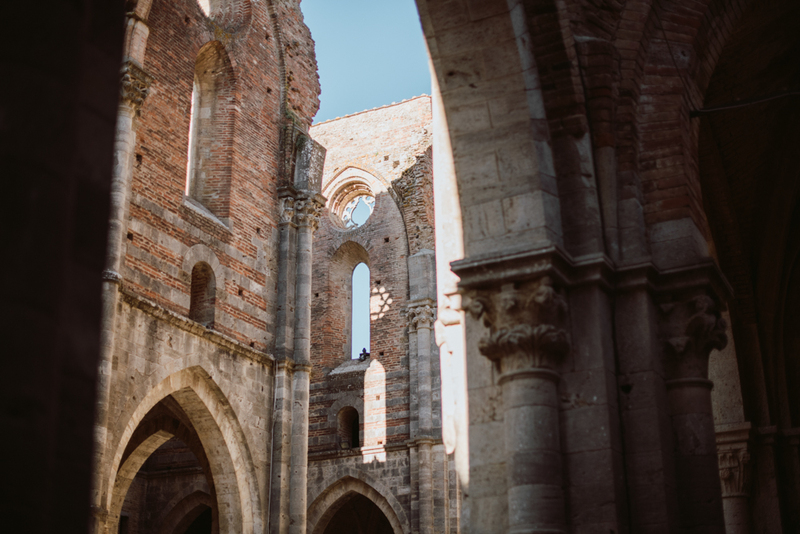 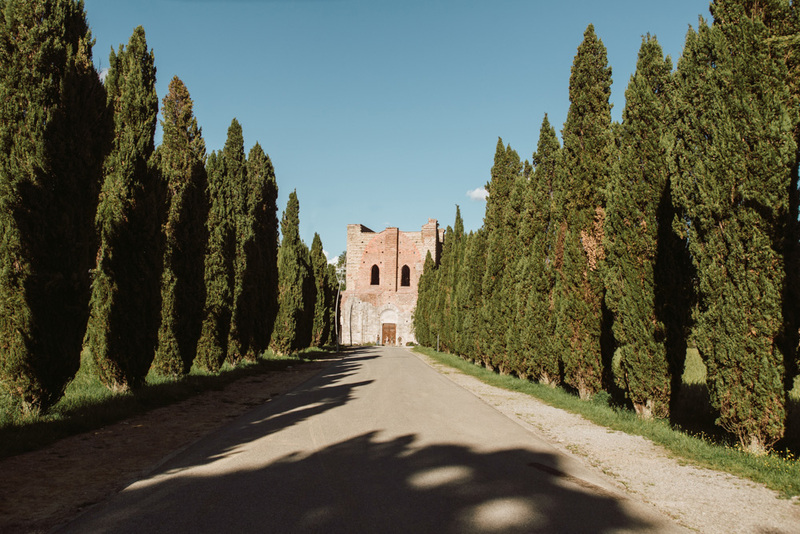 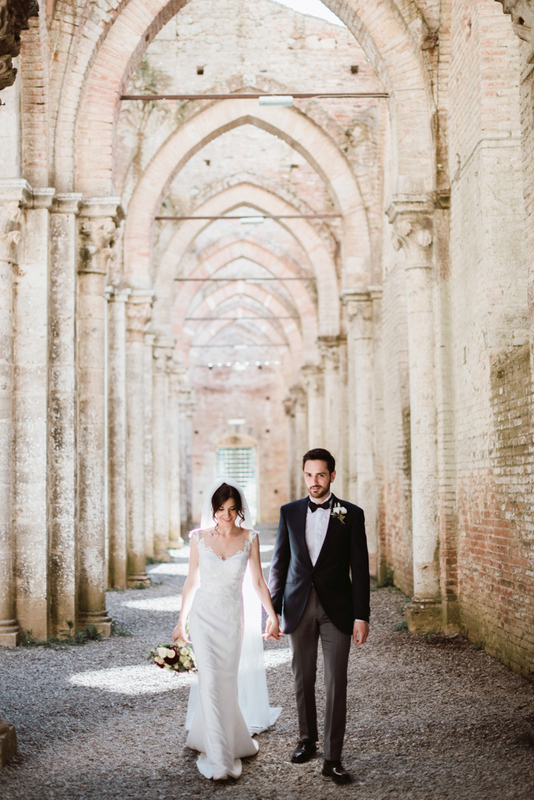 When Margherita and Umberto wrote us about their wedding at San Galgano Abbey our minds started run, thinking about this epic place. 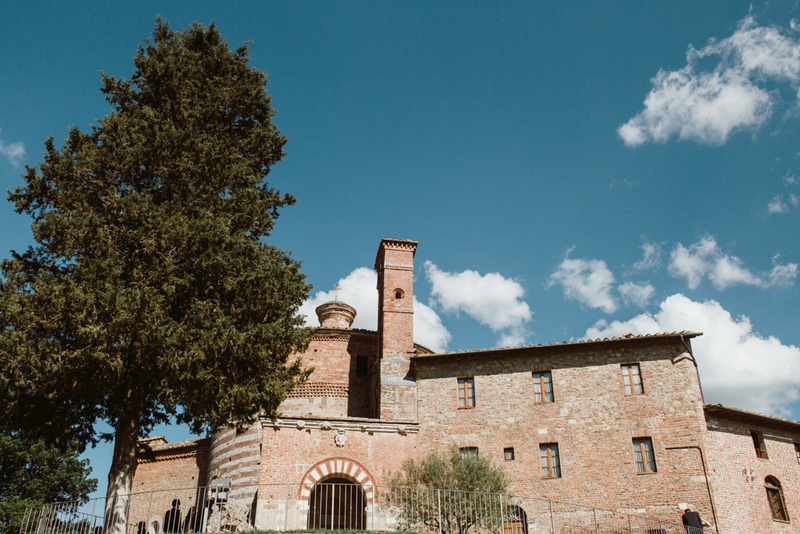 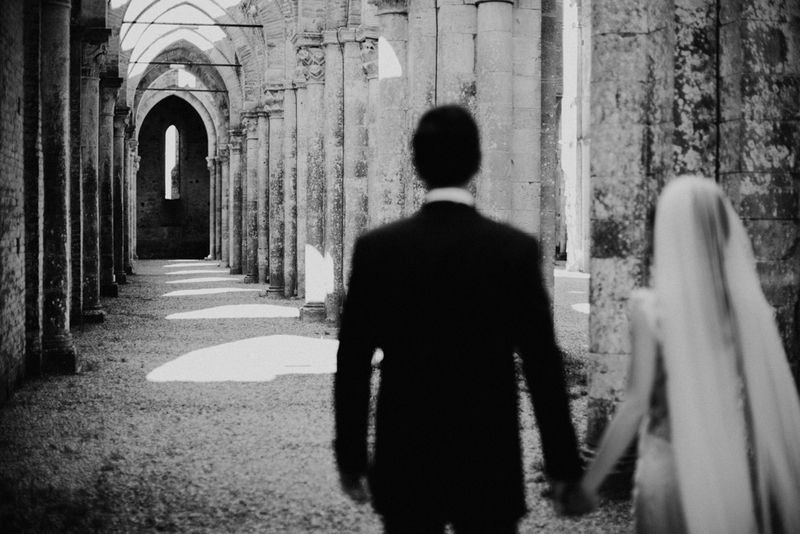 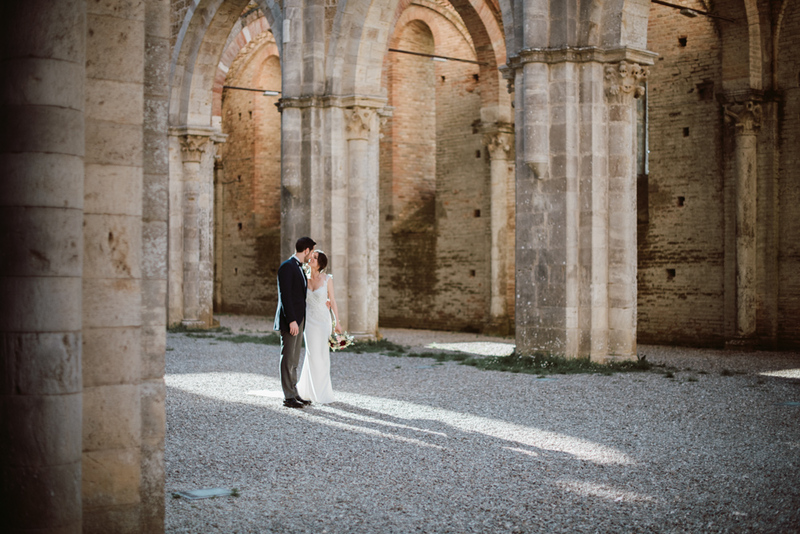 This ancient abbey is one of the most famous symbol of Tuscany and a real dream for every wedding photographer. 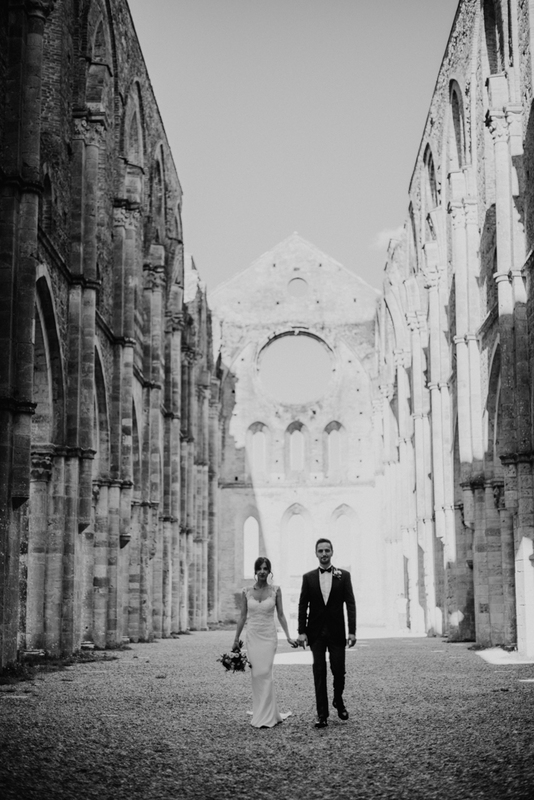 Its Gothic style, the light stones and the unique roofless walls make this church an unique place, full of charme and history. 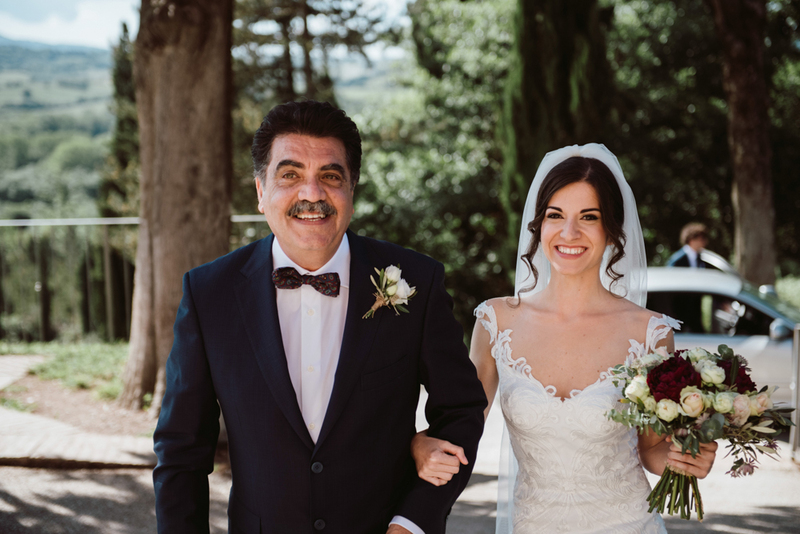 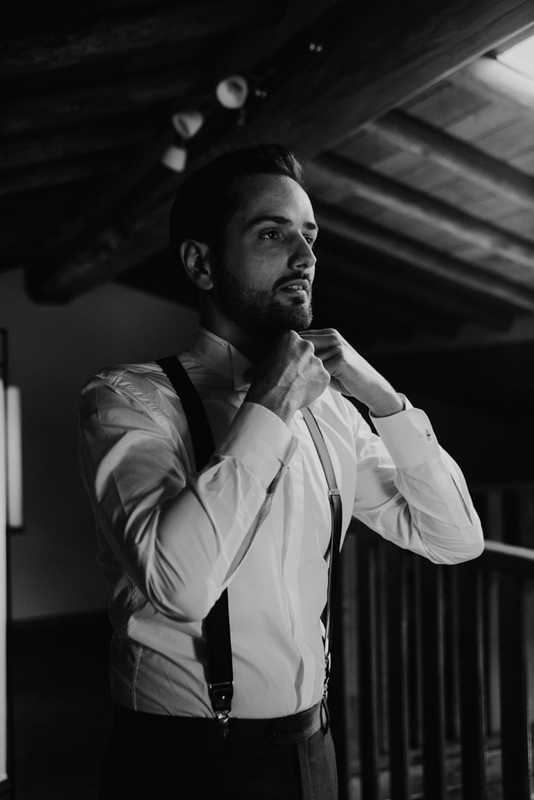 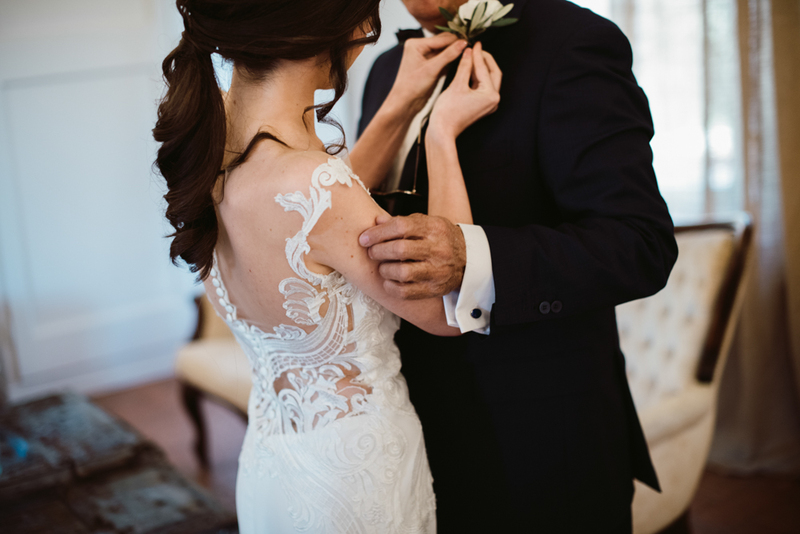 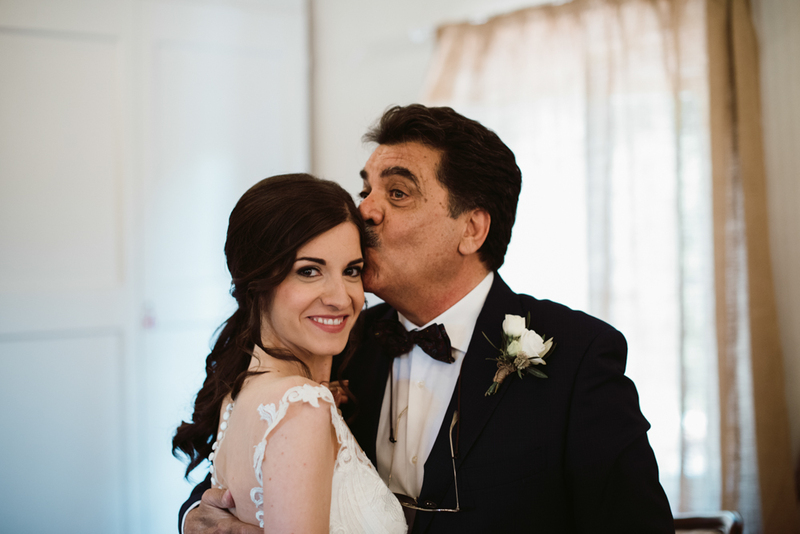 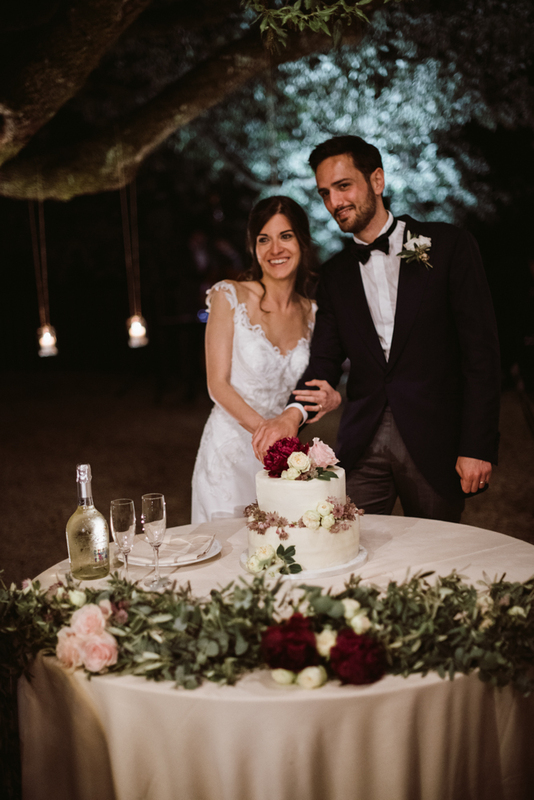 And Margherita and Umberto wedding was unique and charming too, surrounded by the most genuine love ever seen and emotional like never before! 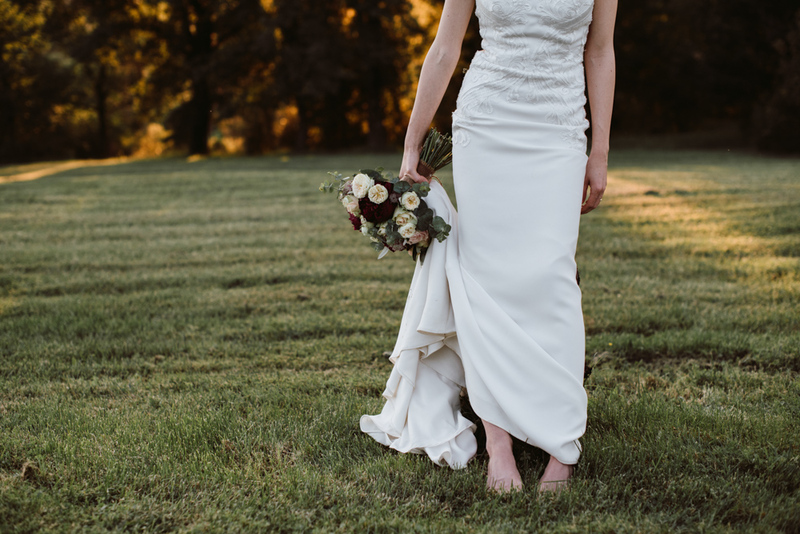 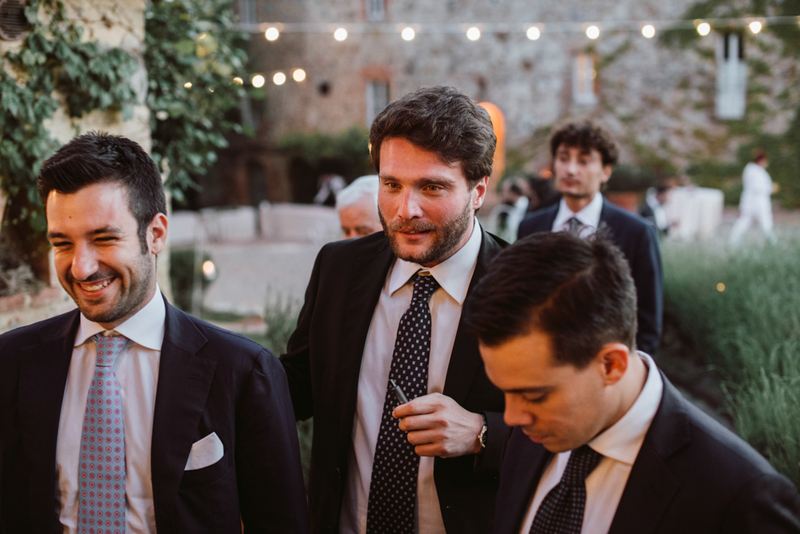 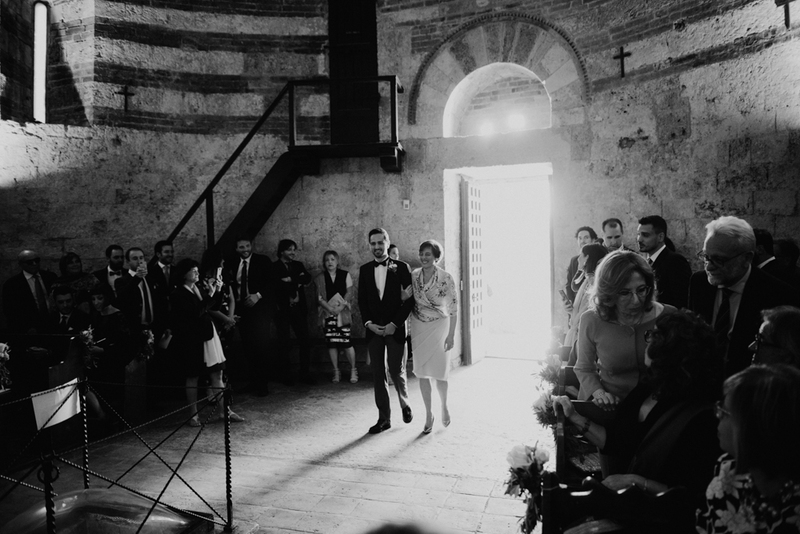 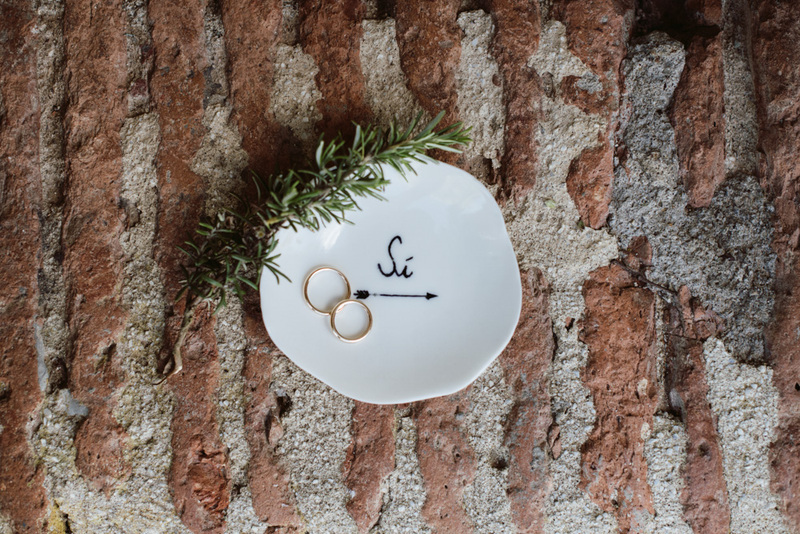 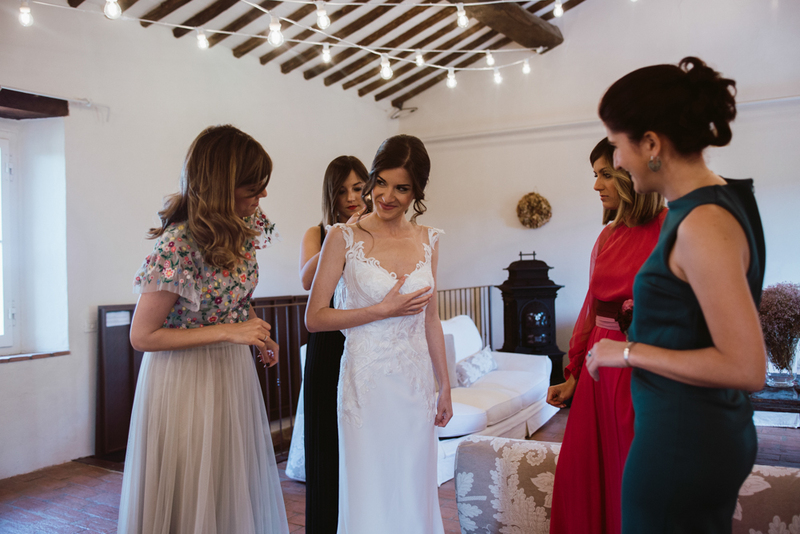 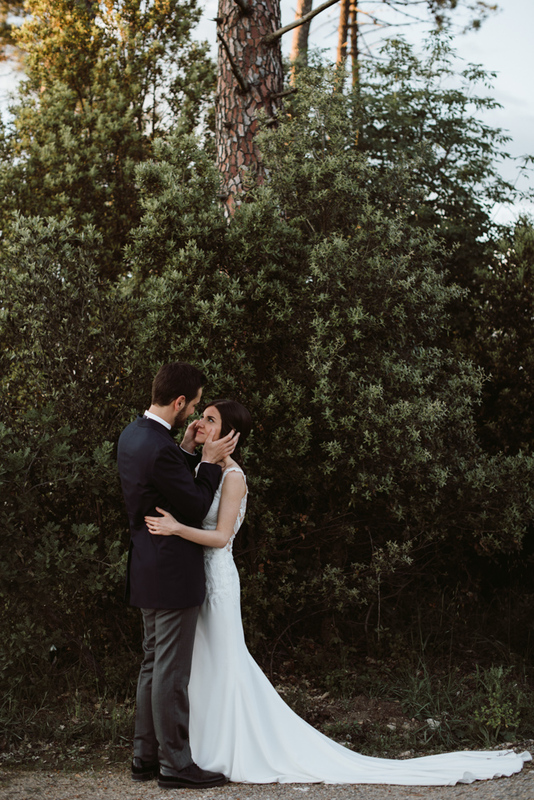 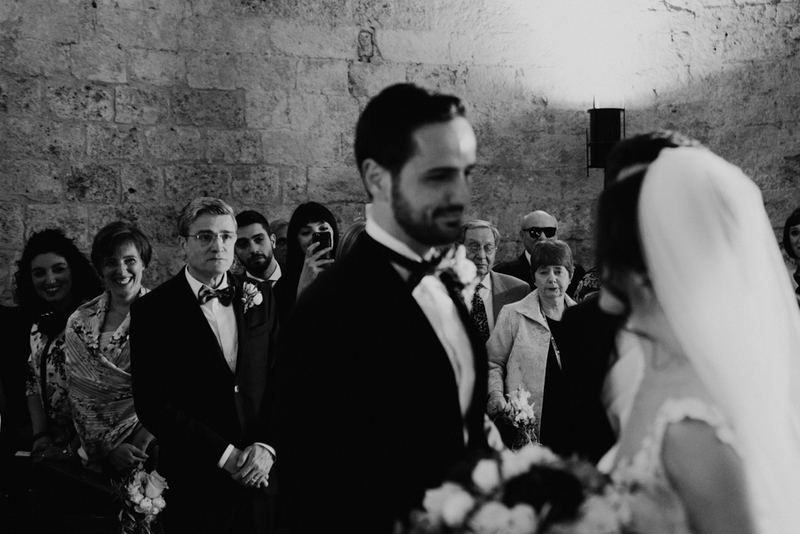 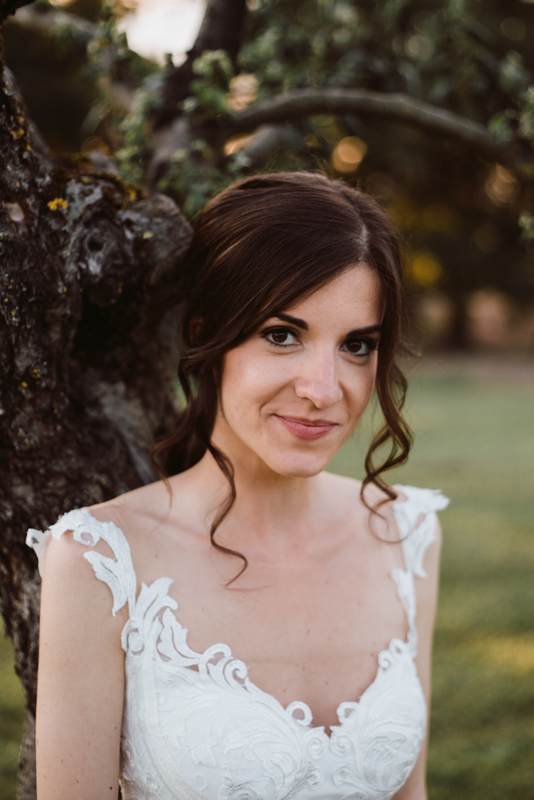 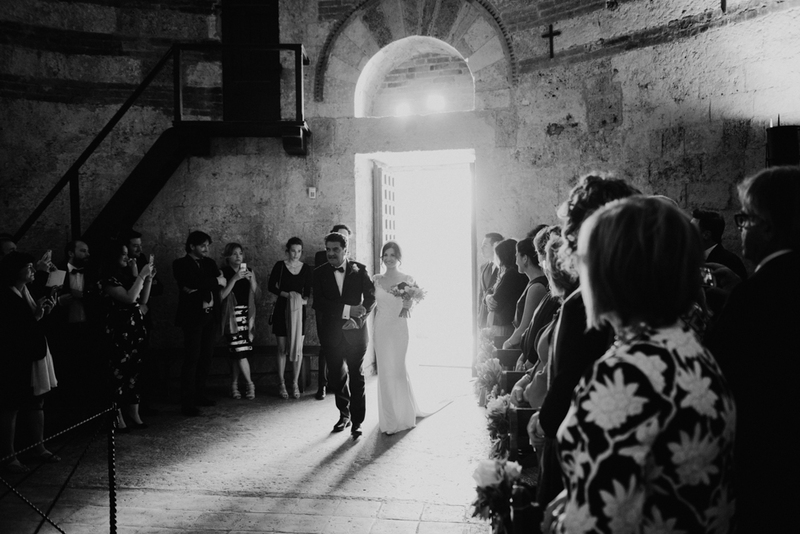 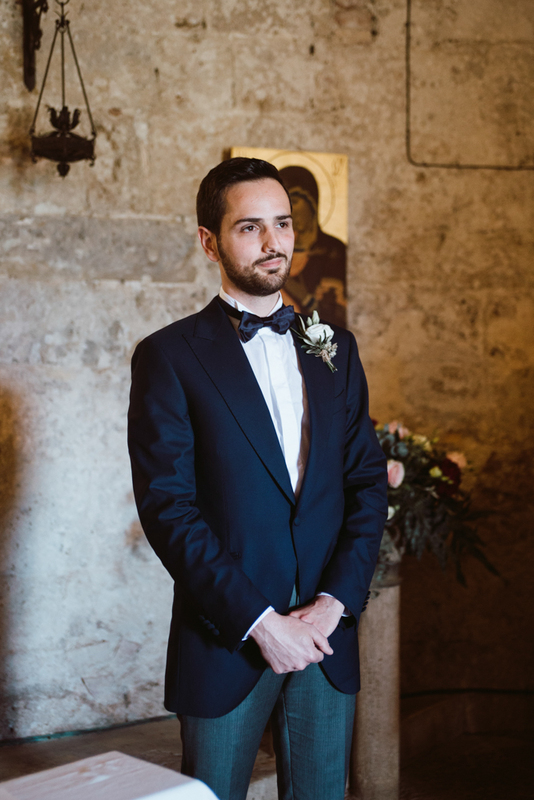 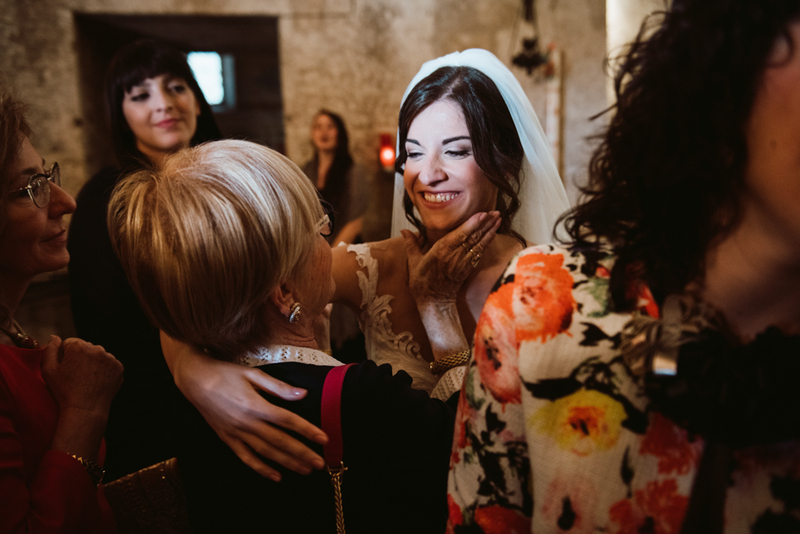 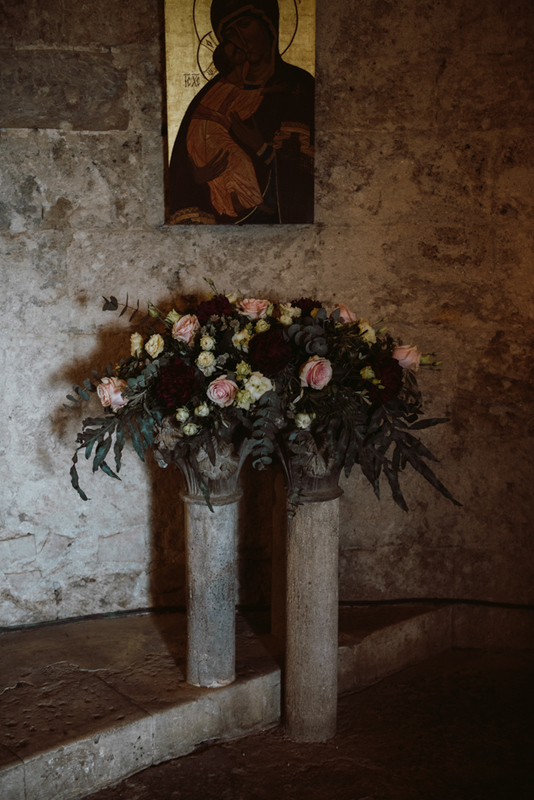 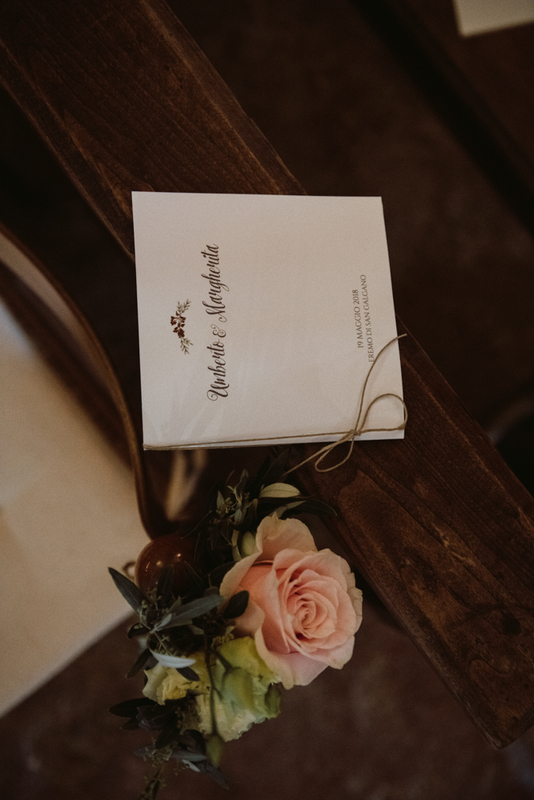 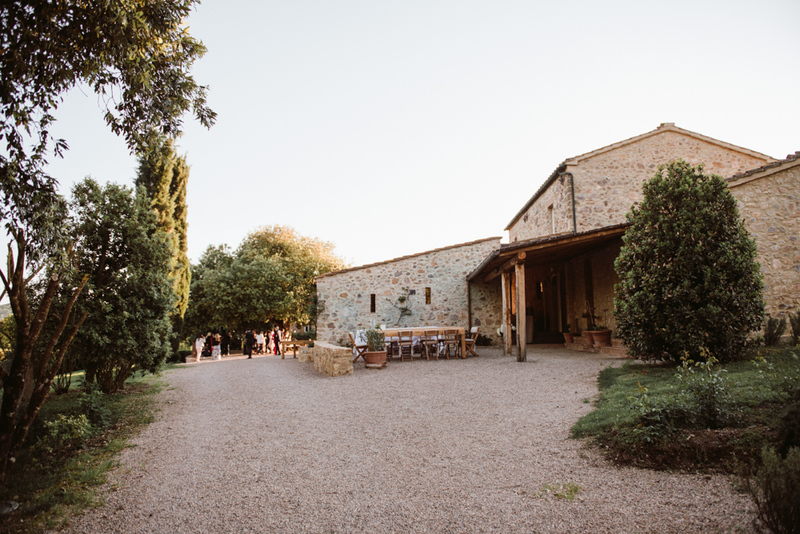 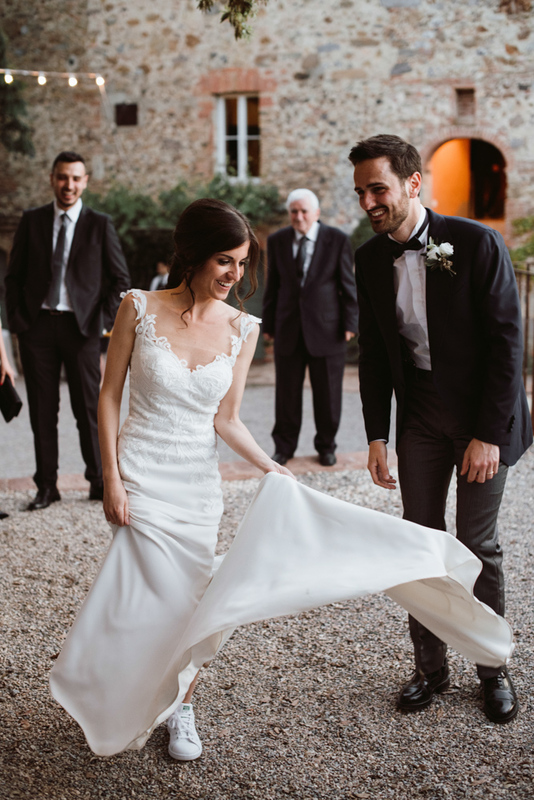 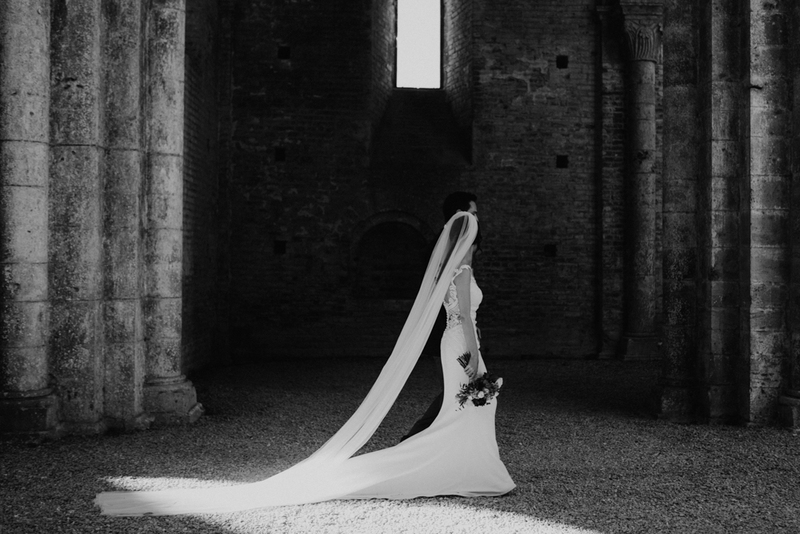 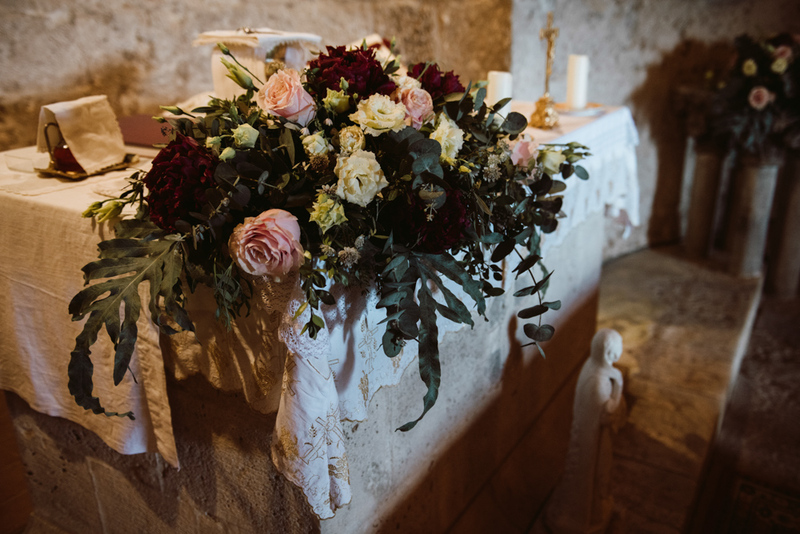 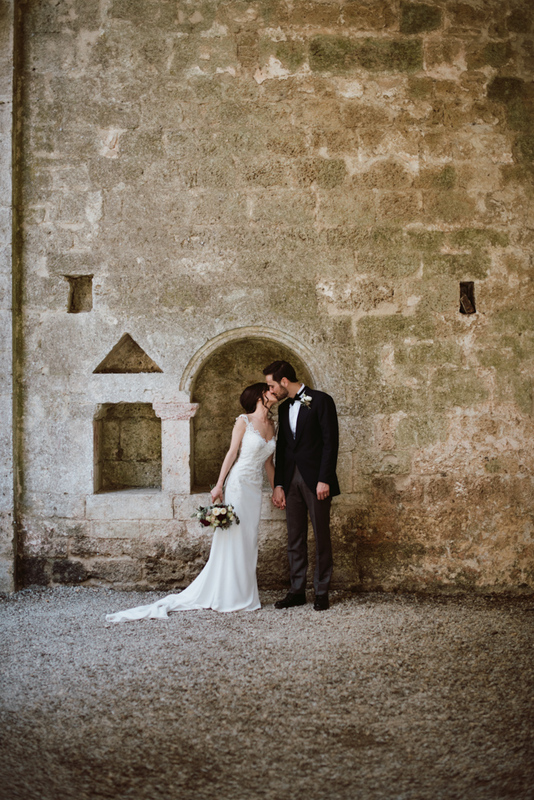 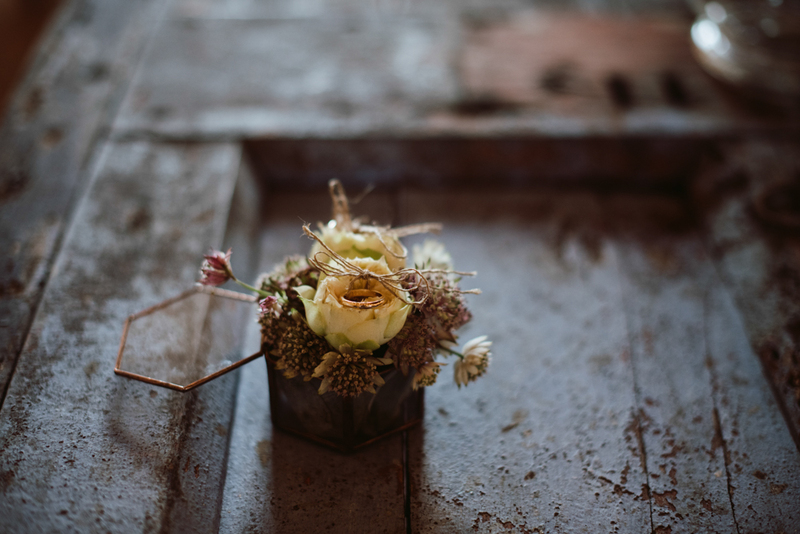 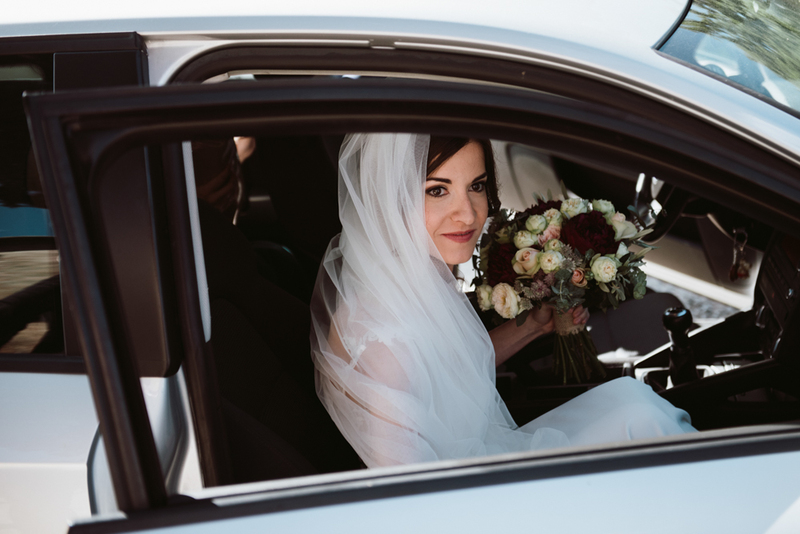 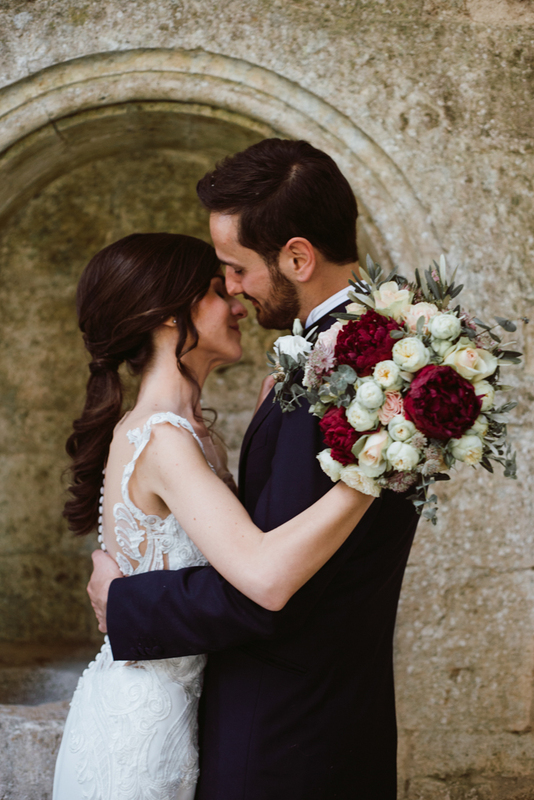 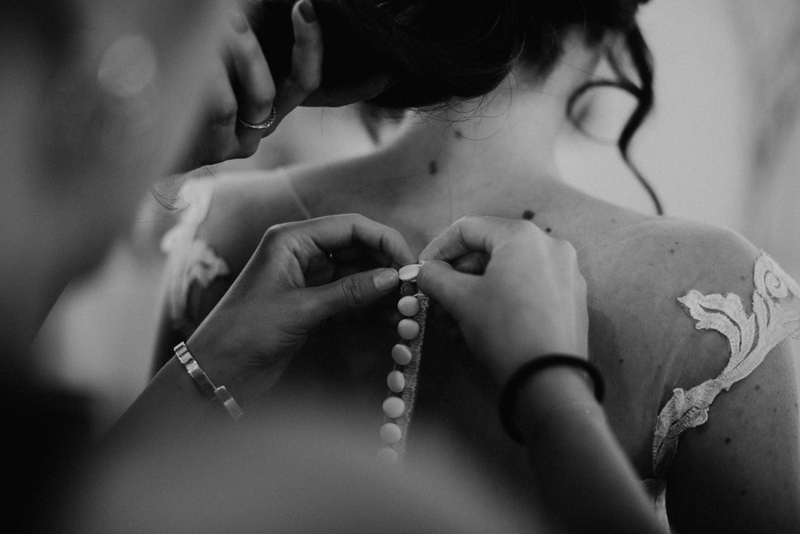 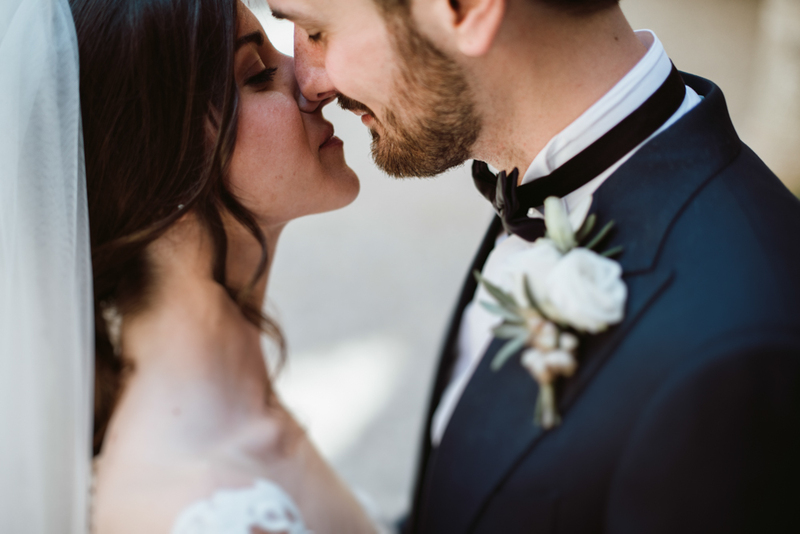 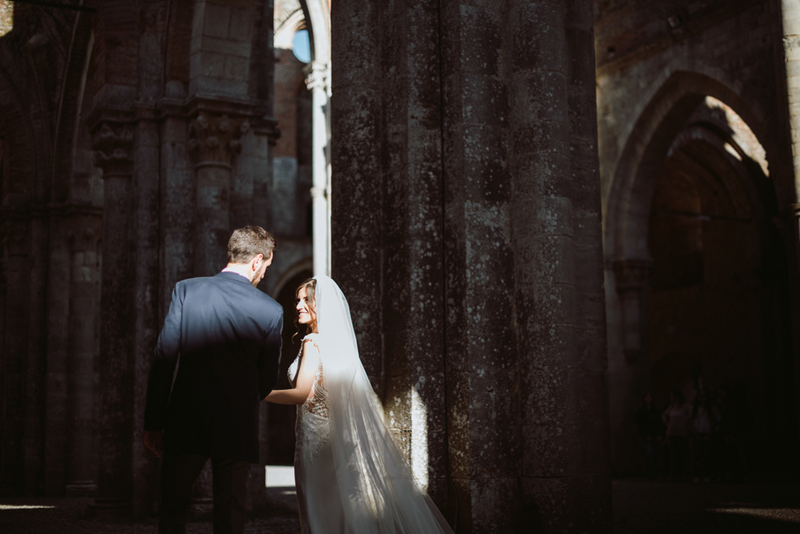 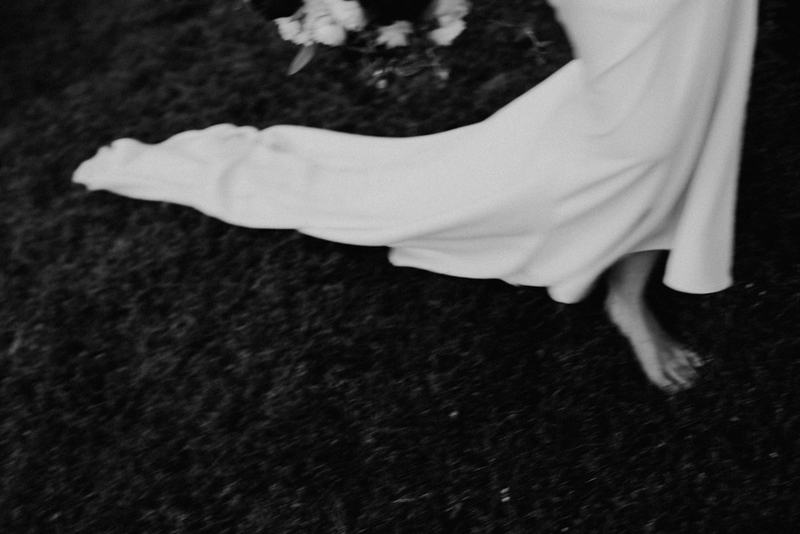 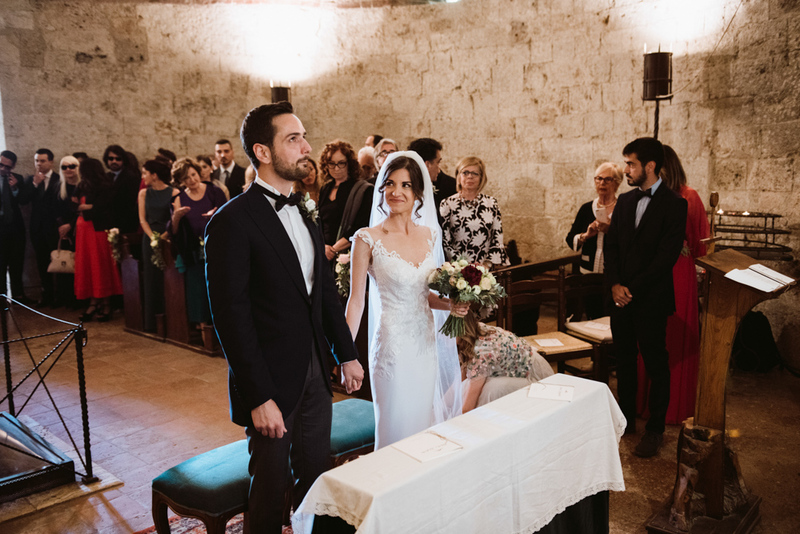 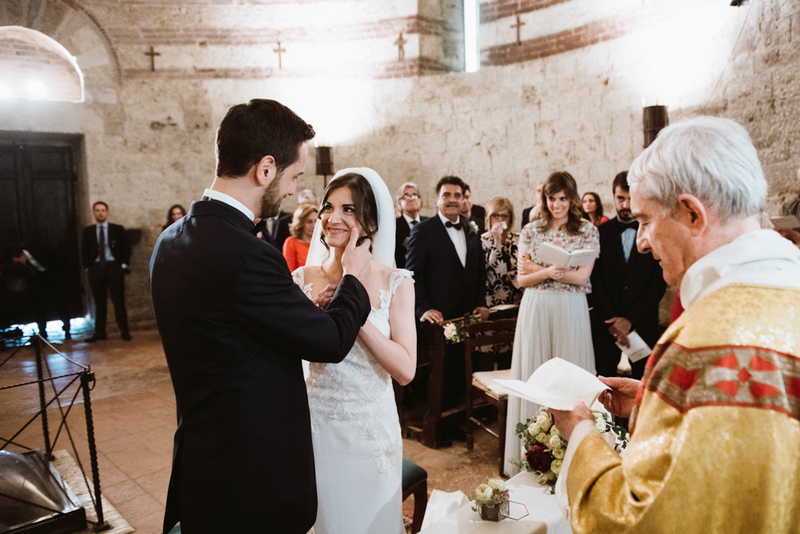 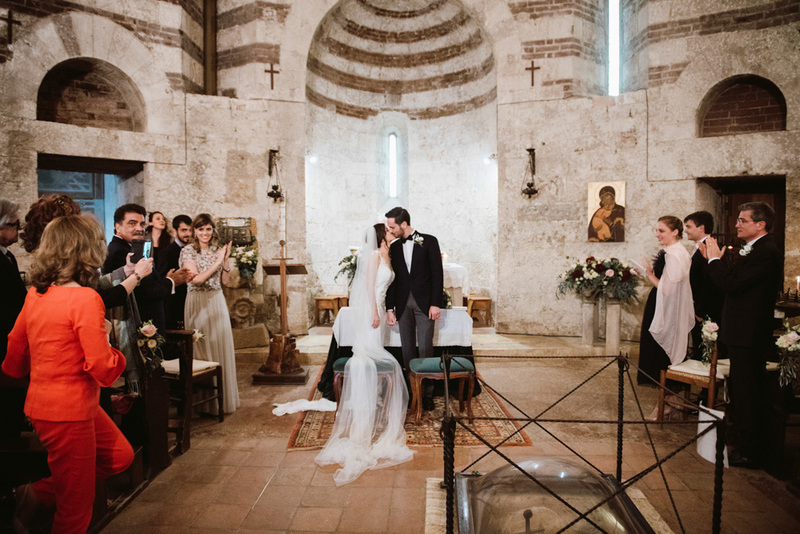 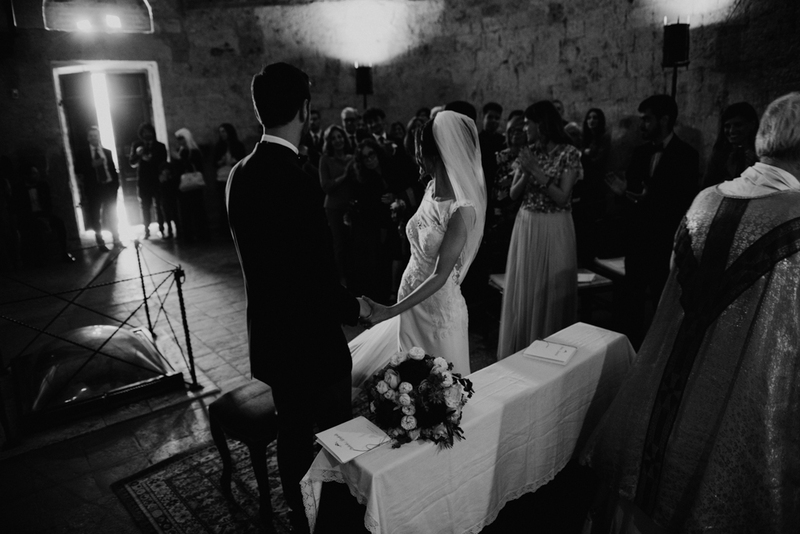 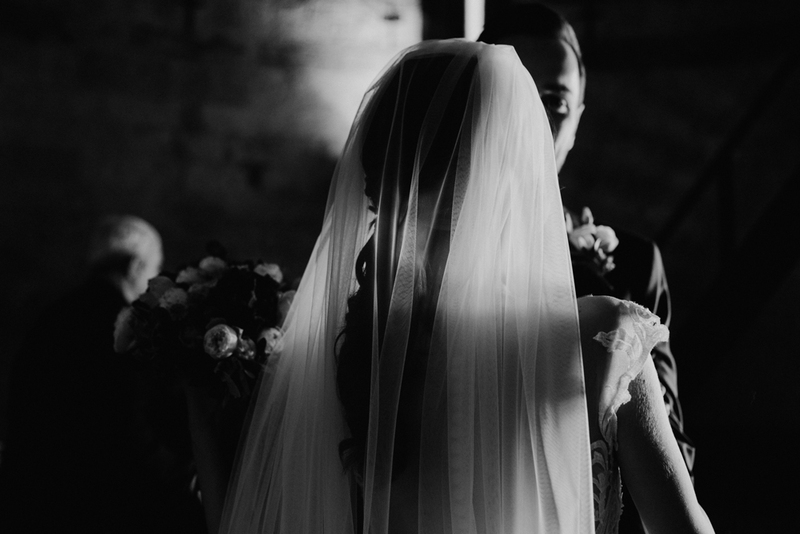 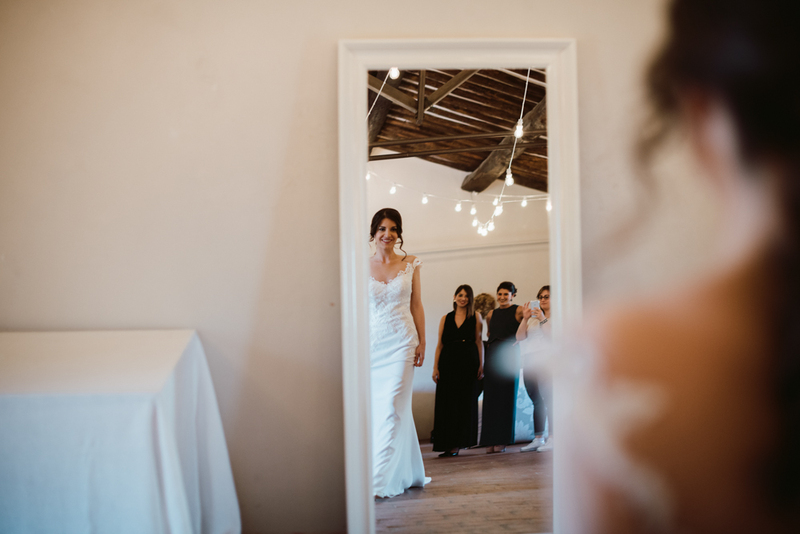 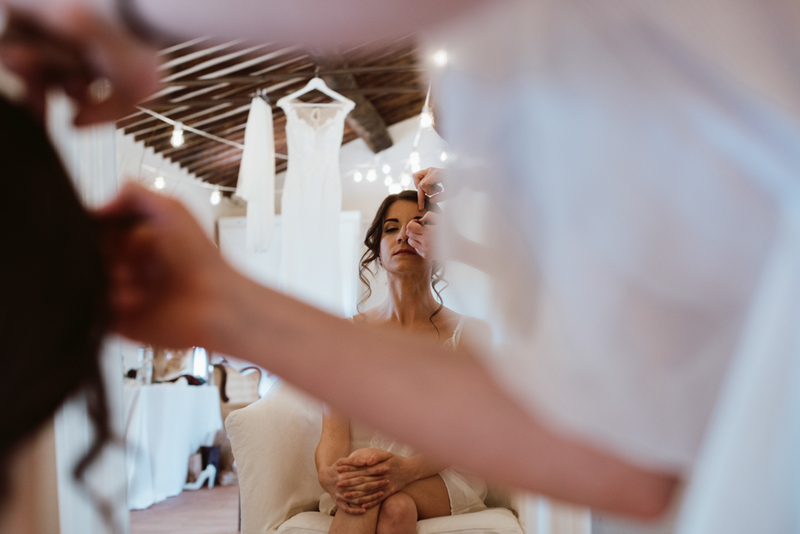 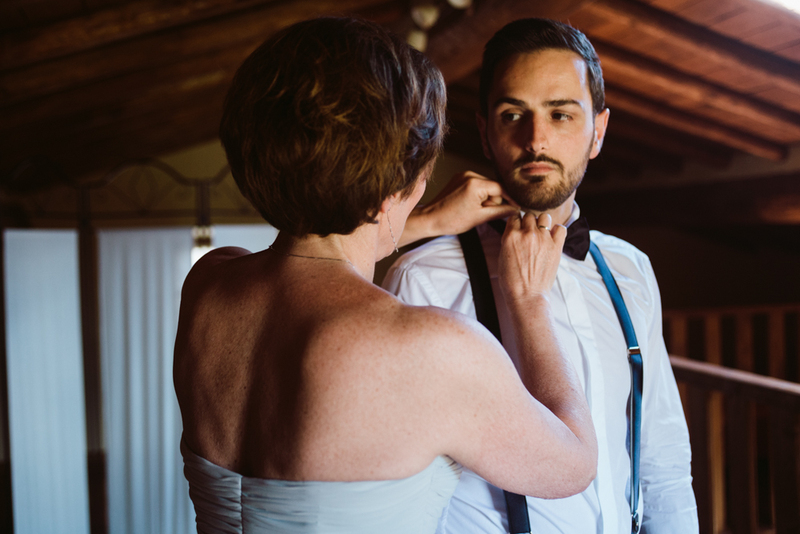 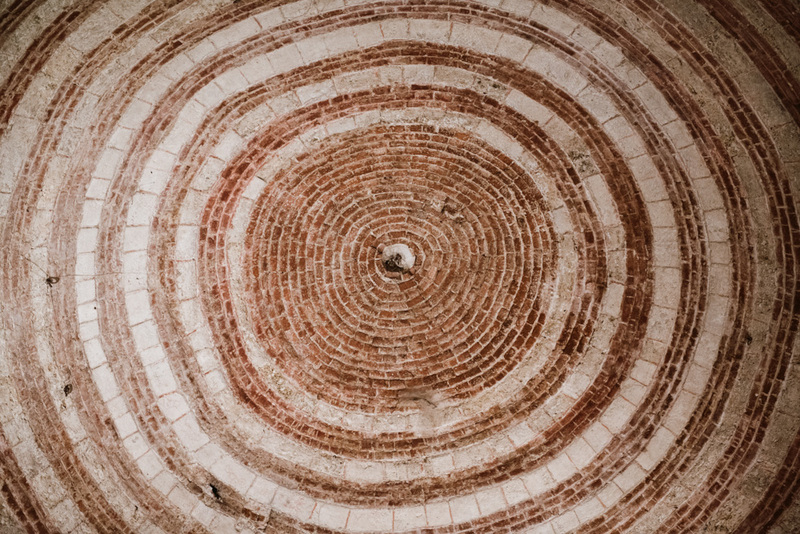 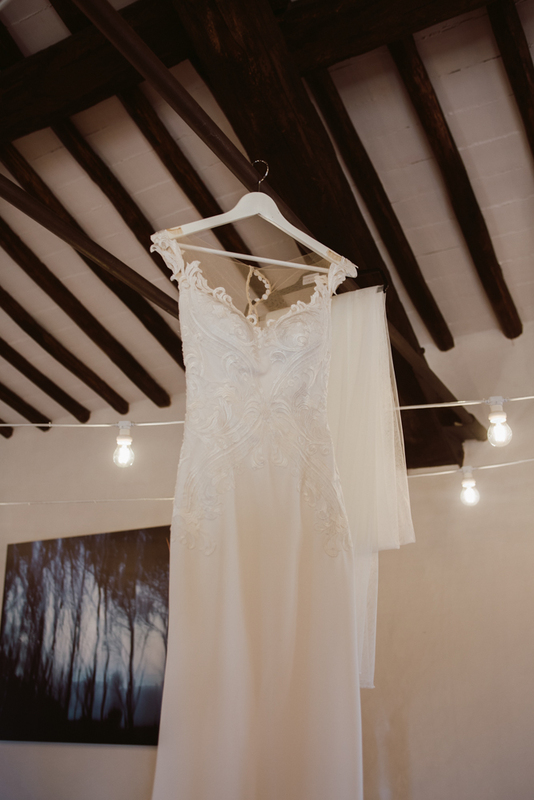 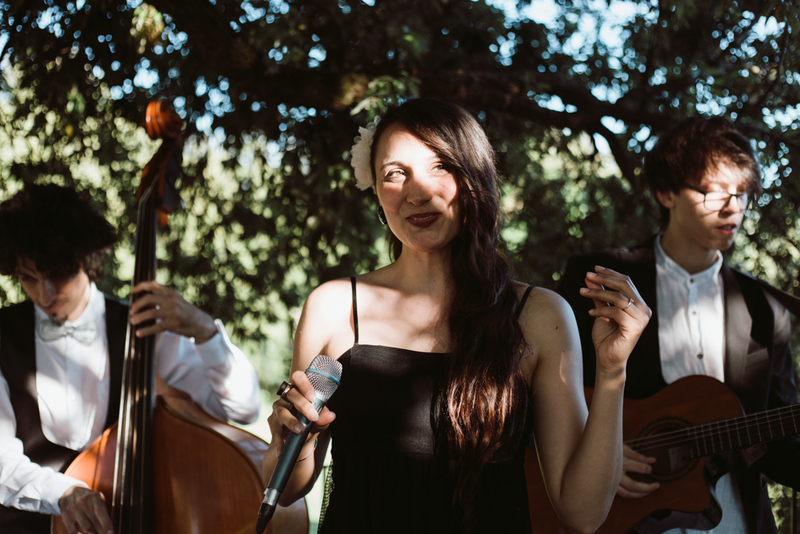 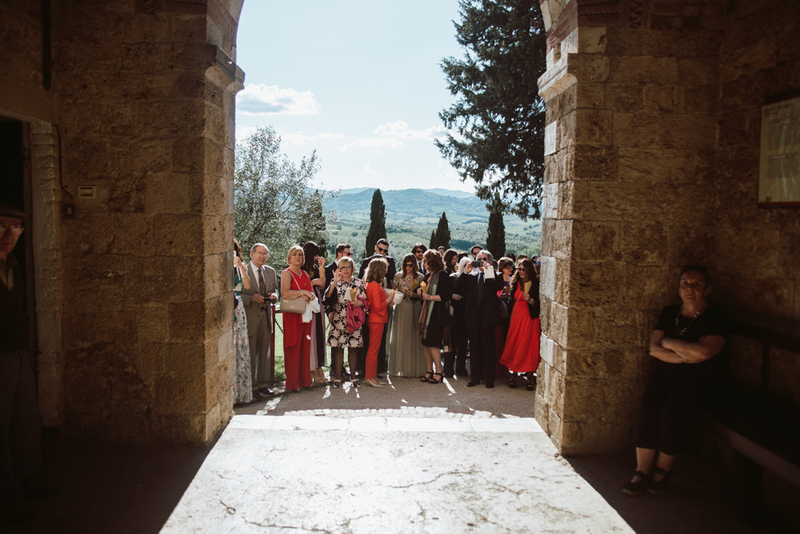 Their ceremony took place at the little chapel close to the abbey, the Rotonda of Montesiepi; after that we had a memorable couple session in the gentle Tuscan light inside the San Galgano Abbey. 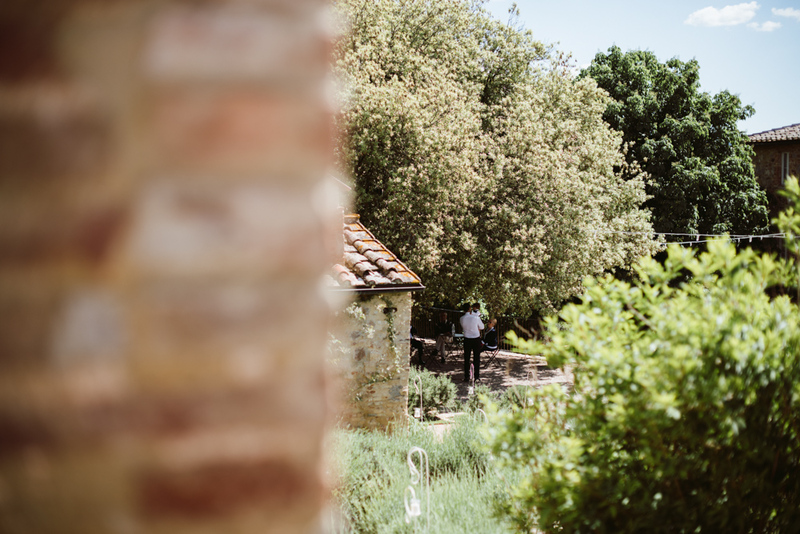 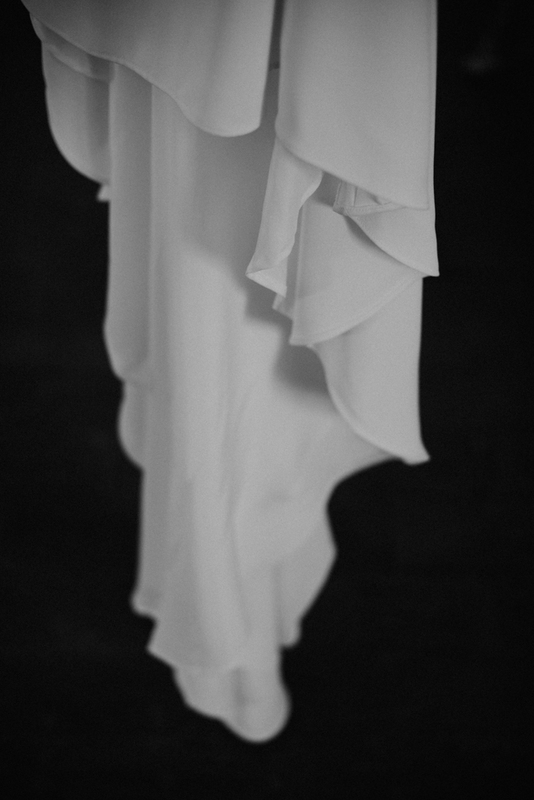 Shooting there was an incredible experience, every single corner of this place gave us a lot of inspiration, speaking about silence, calm and light reflections. 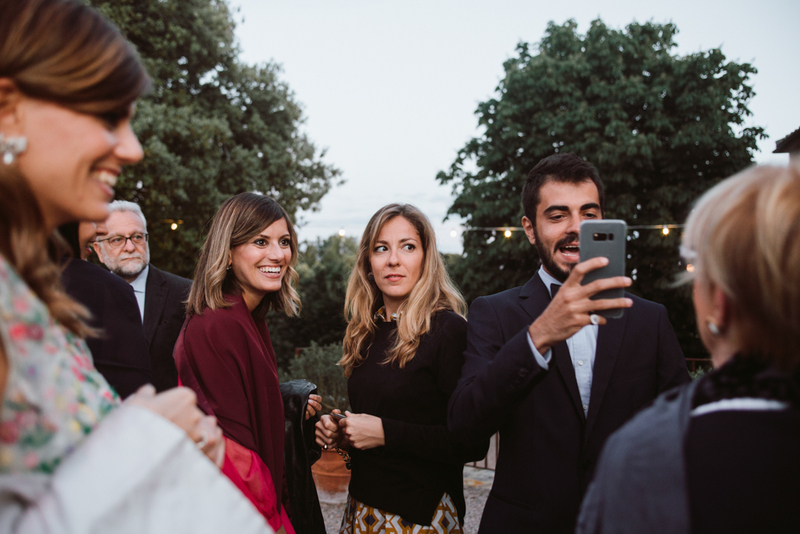 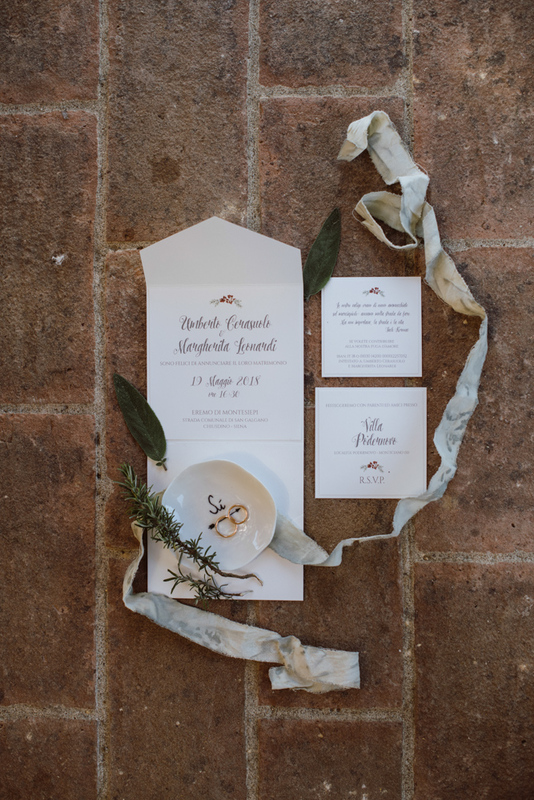 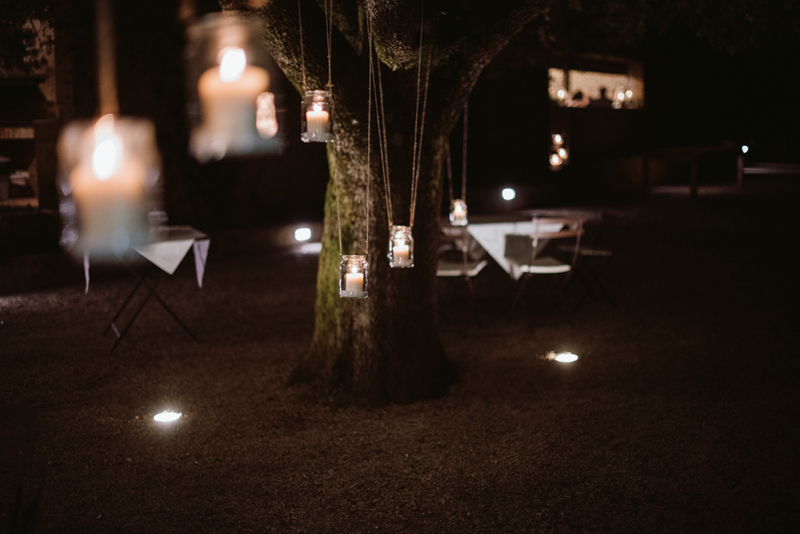 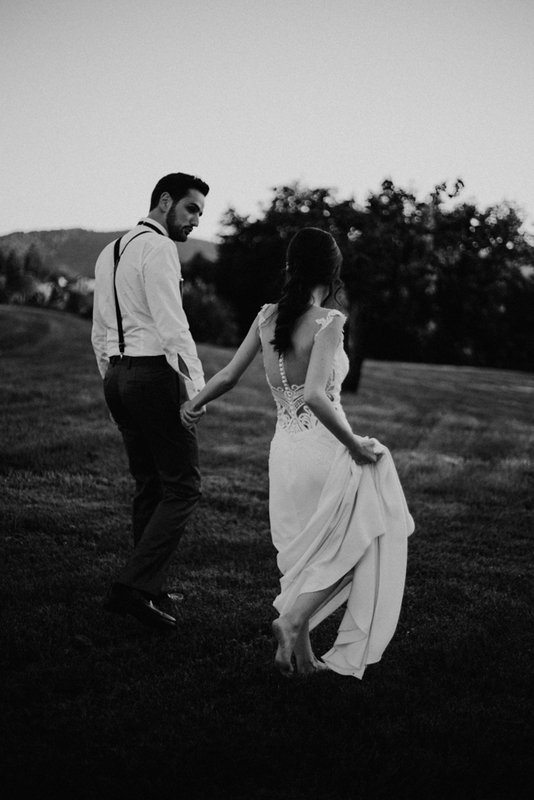 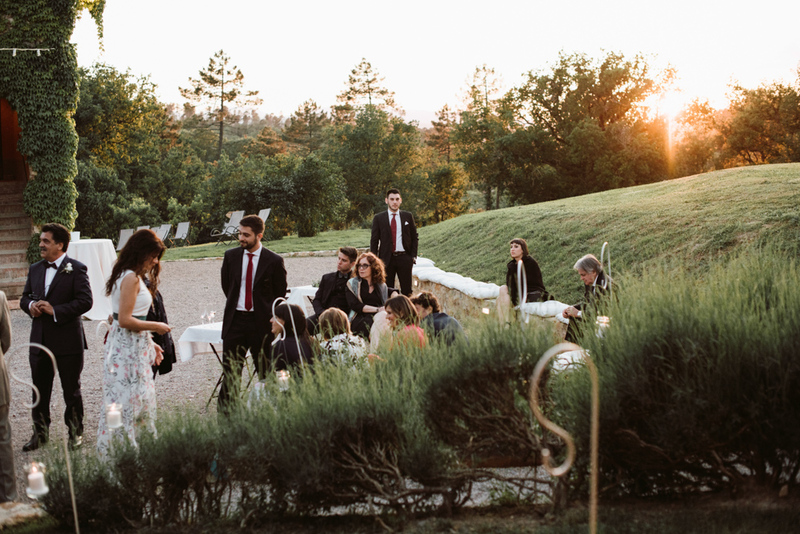 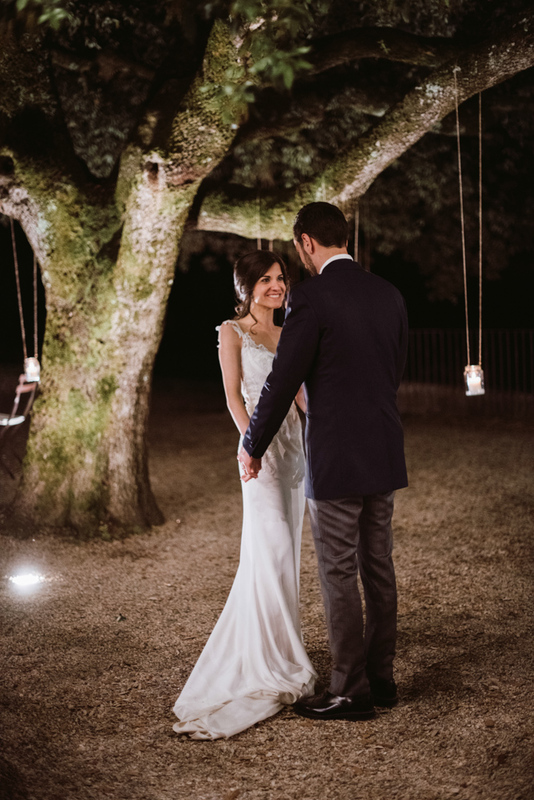 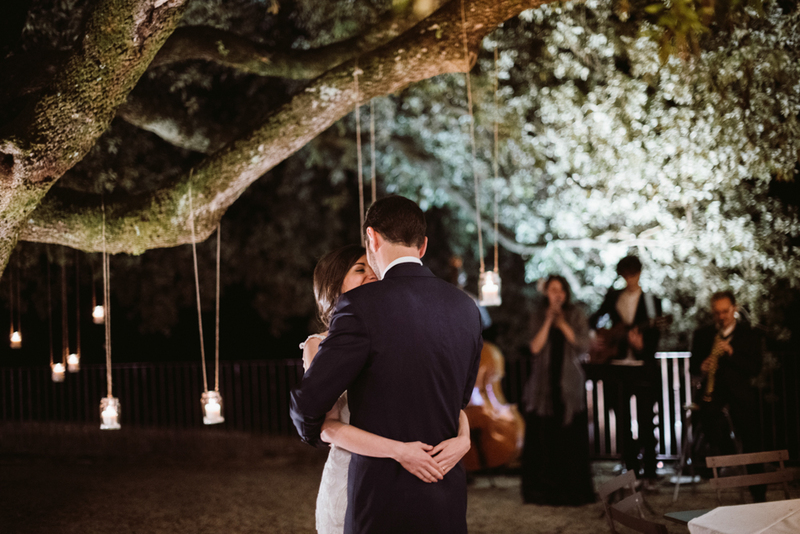 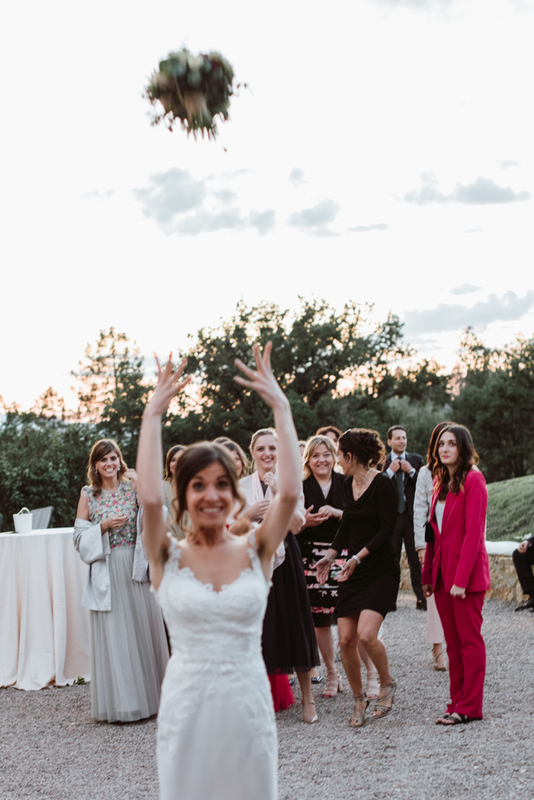 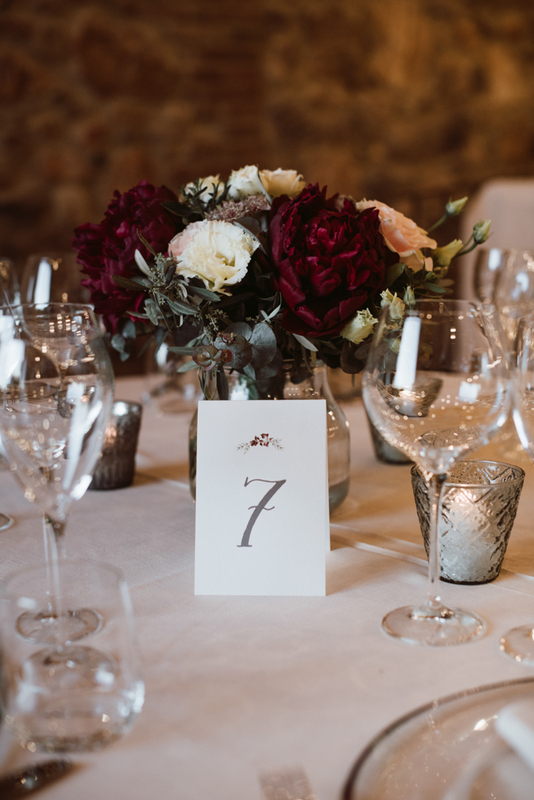 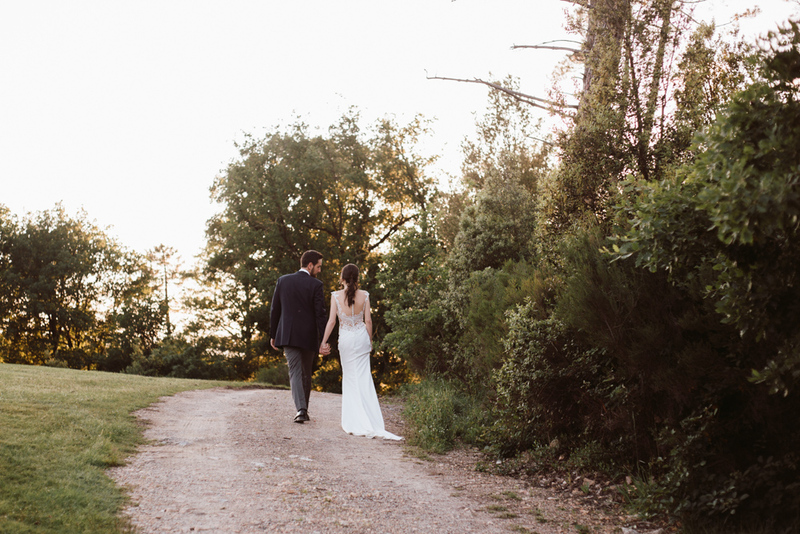 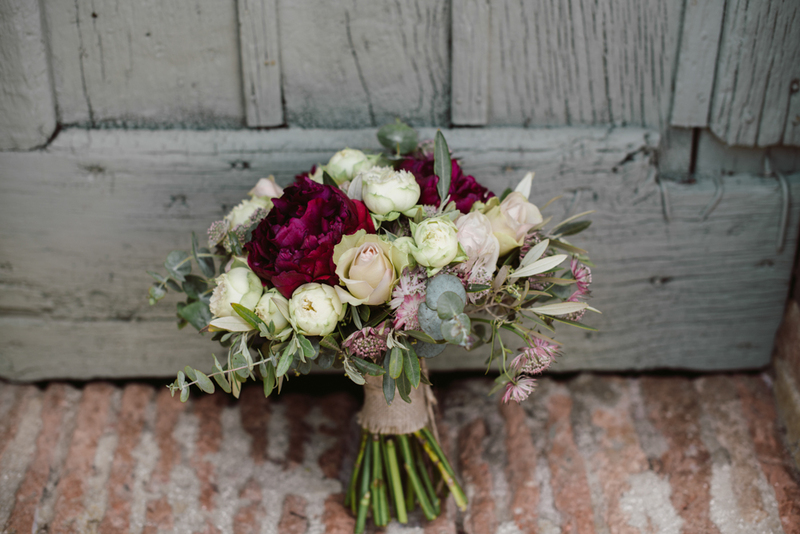 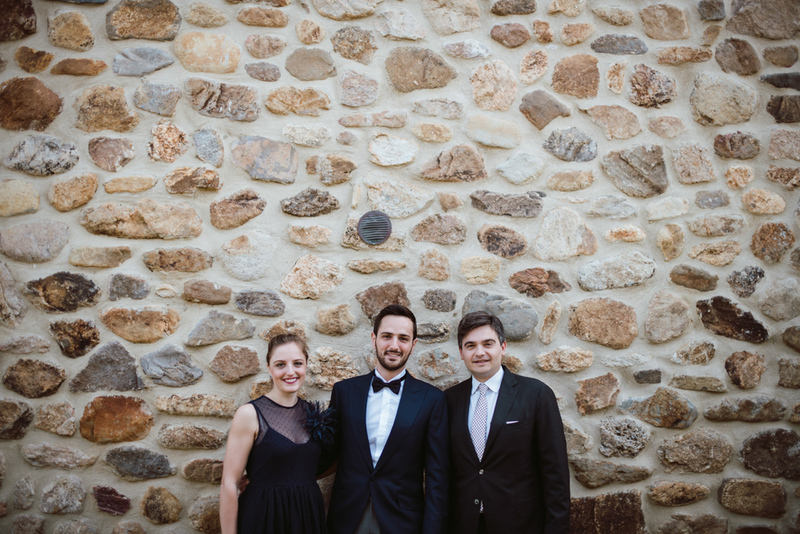 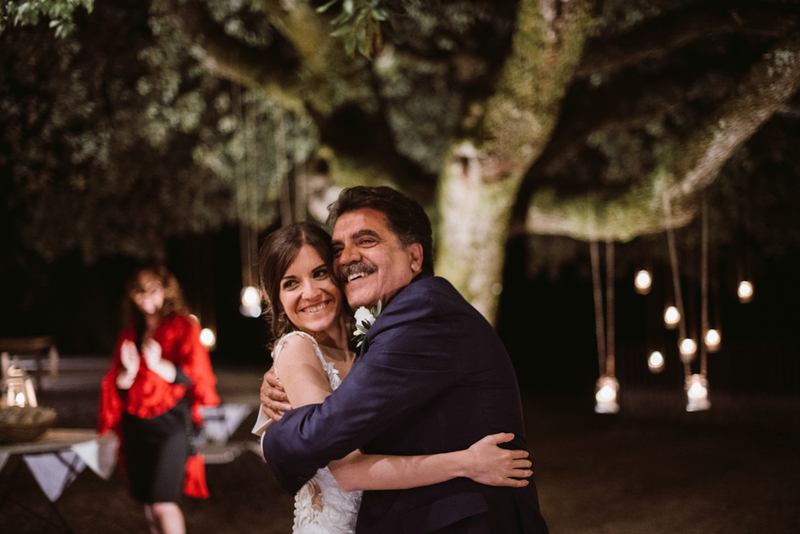 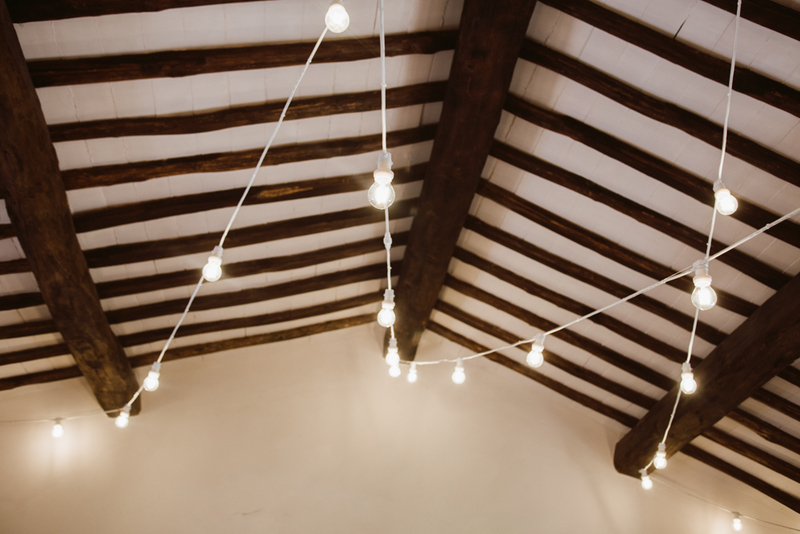 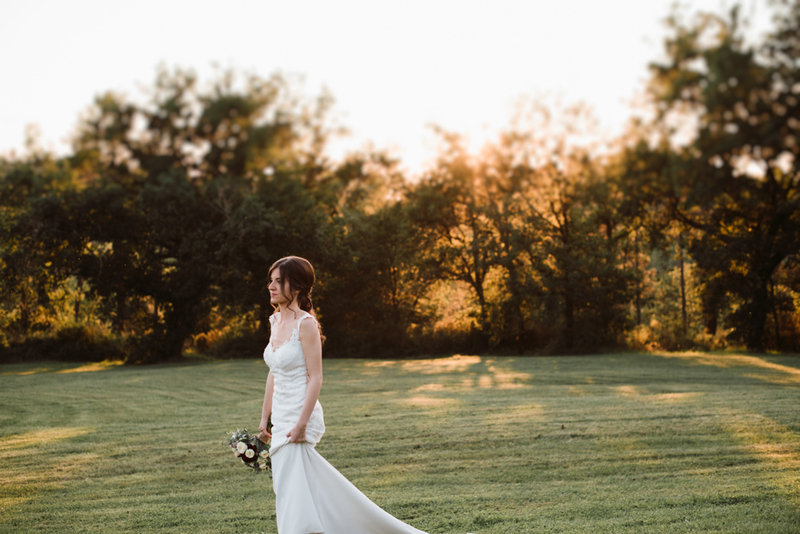 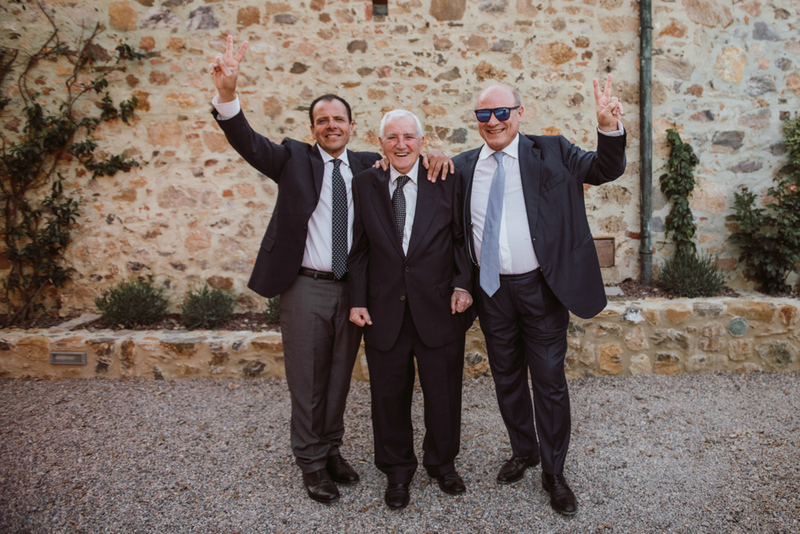 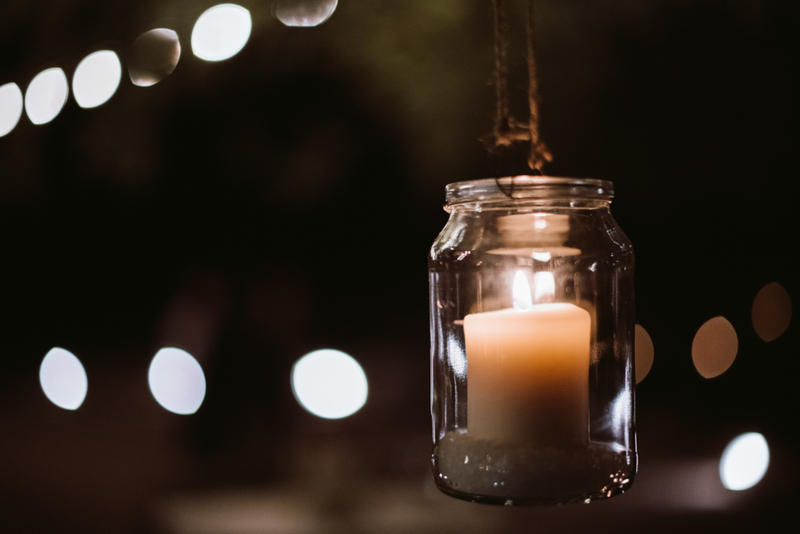 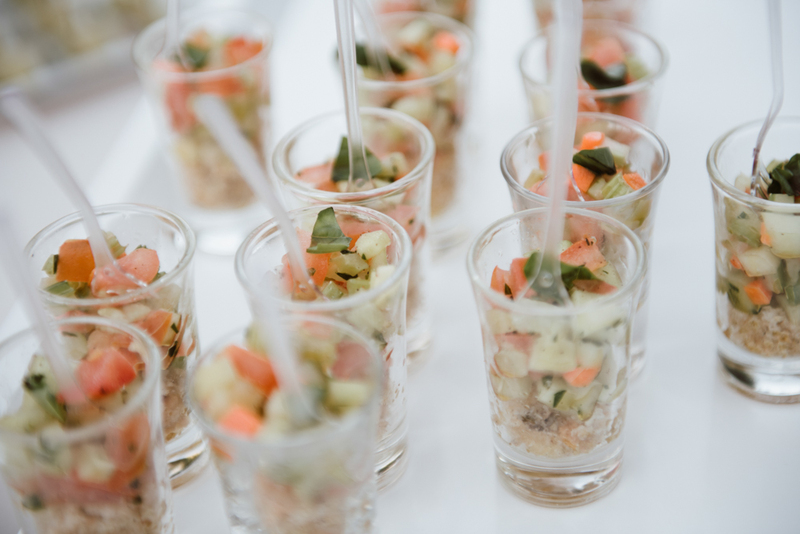 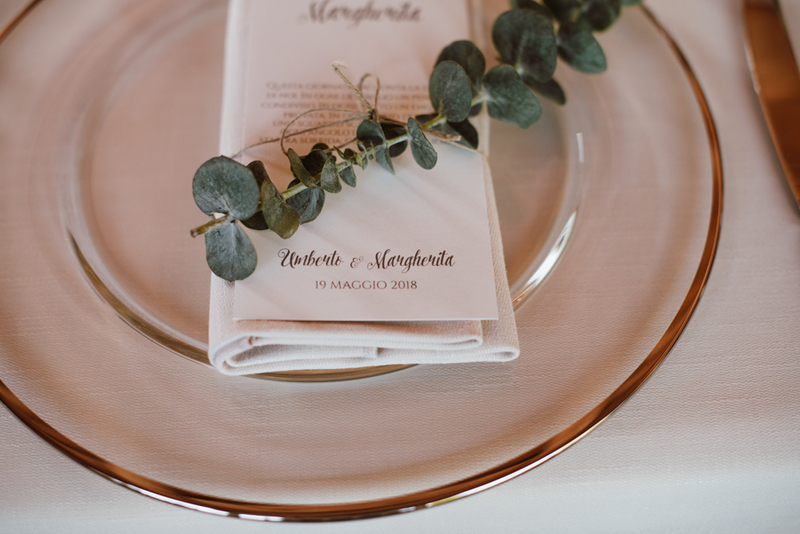 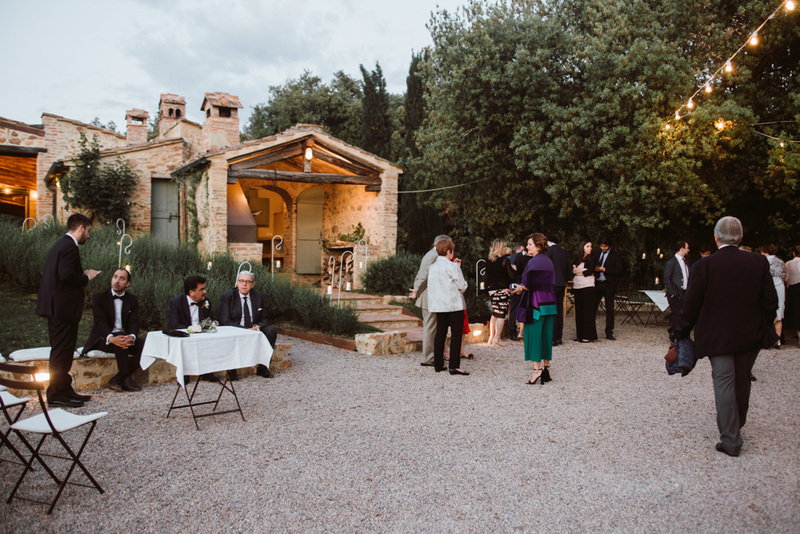 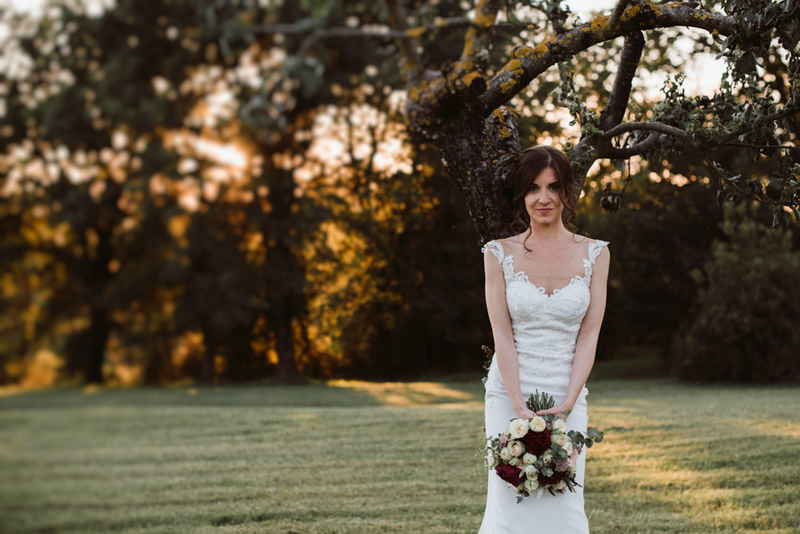 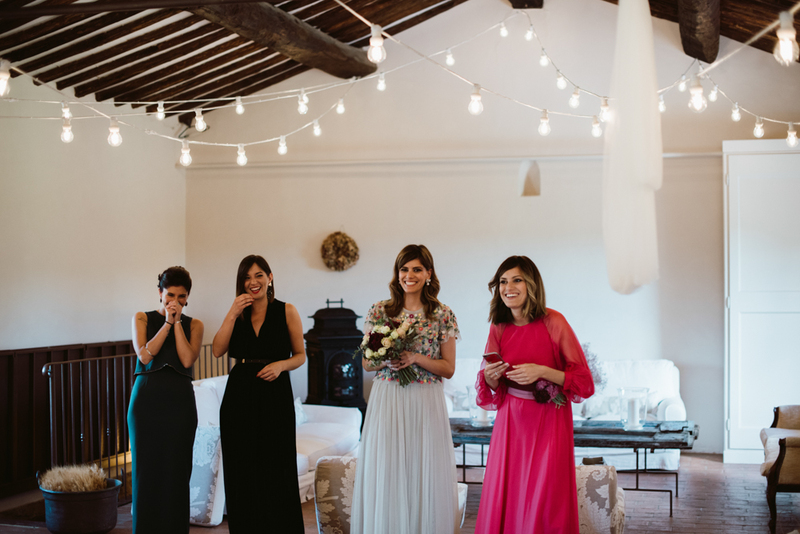 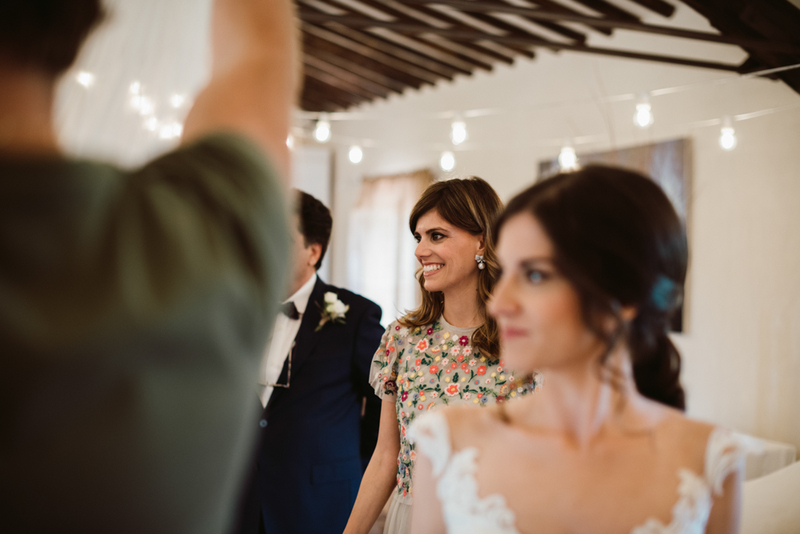 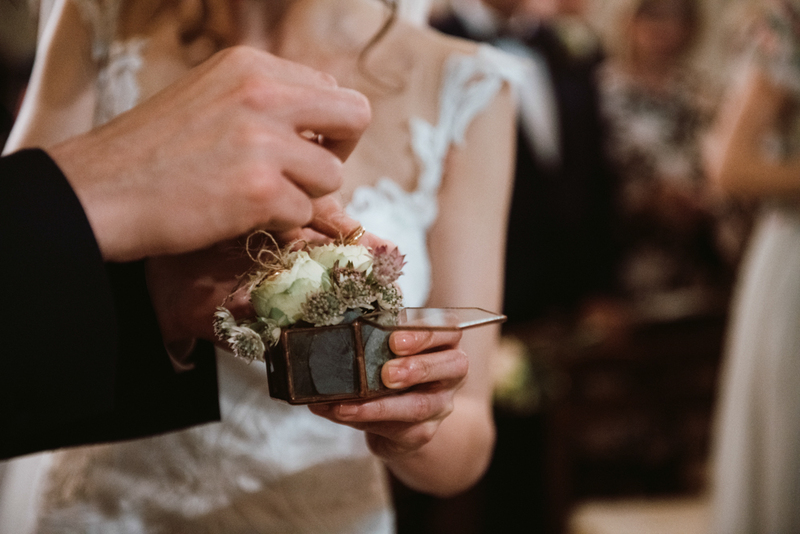 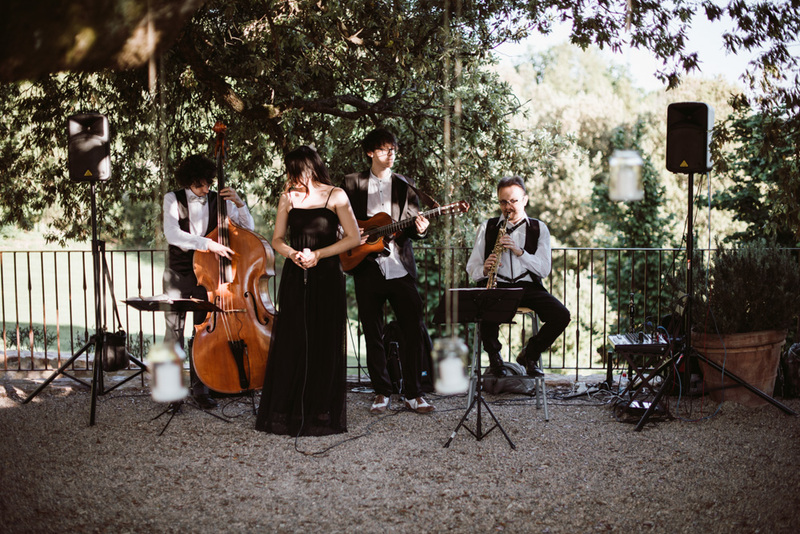 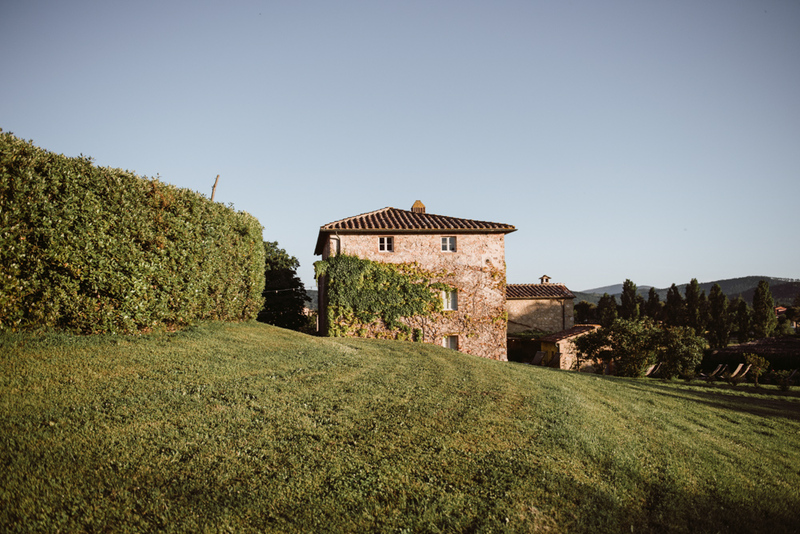 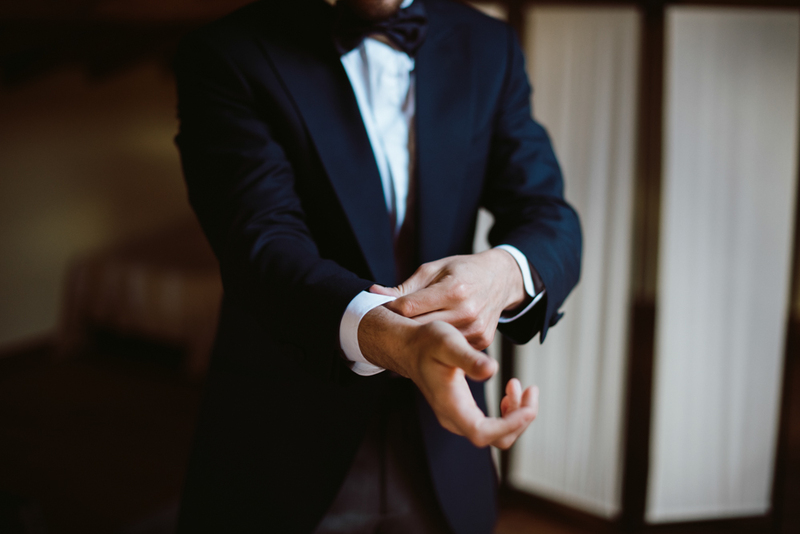 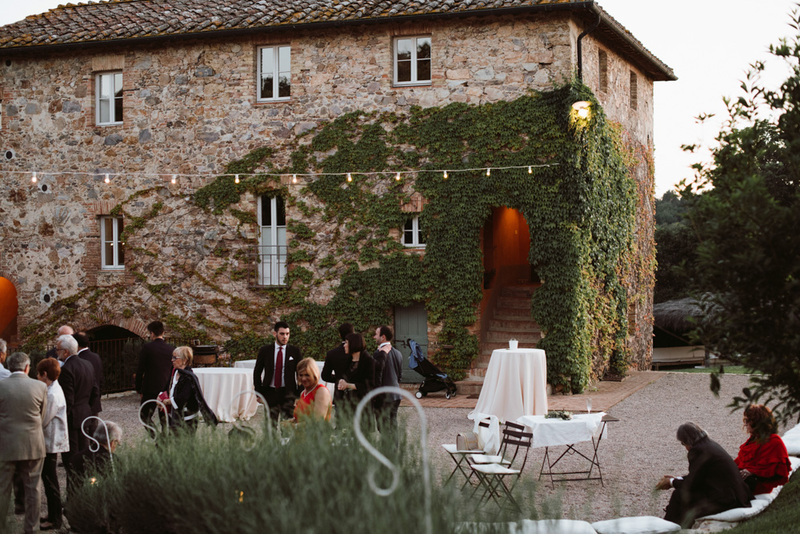 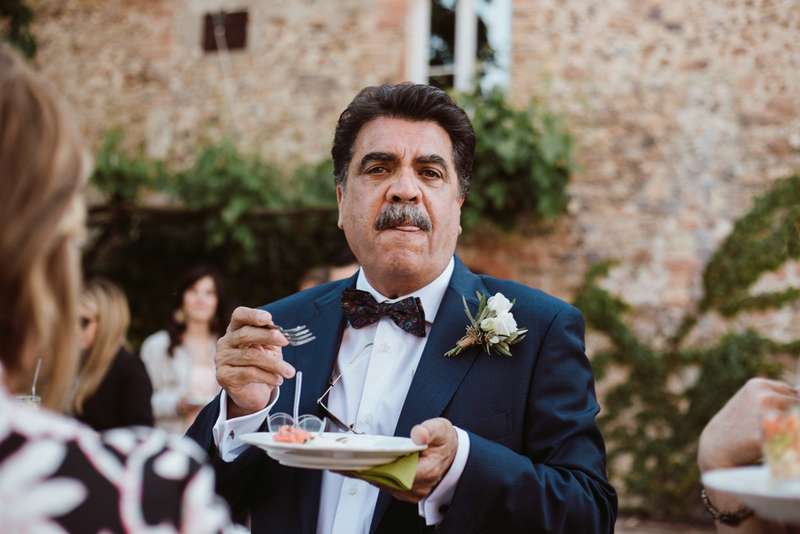 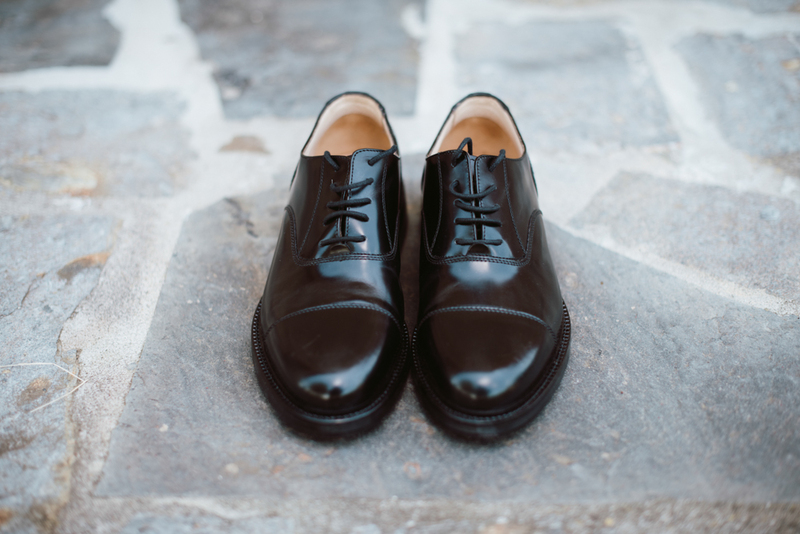 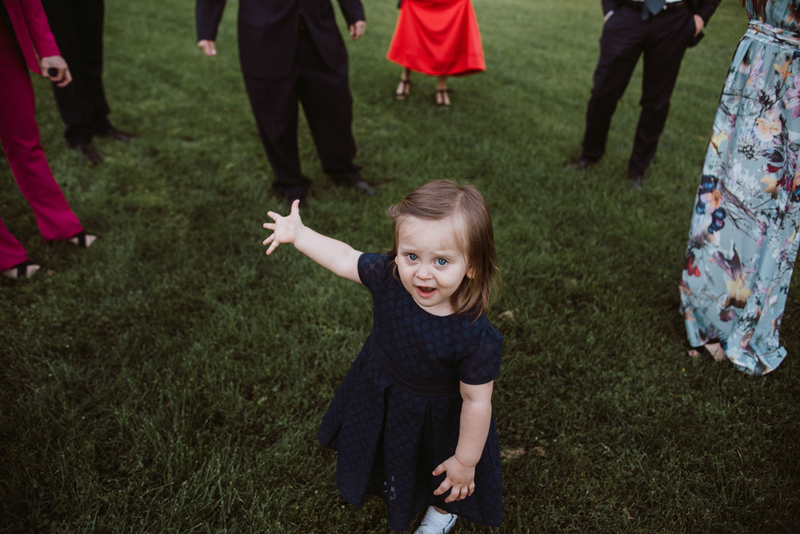 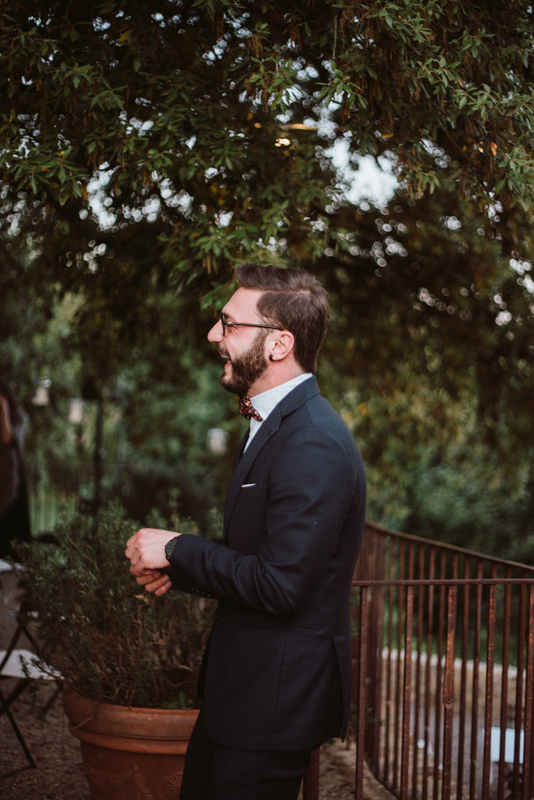 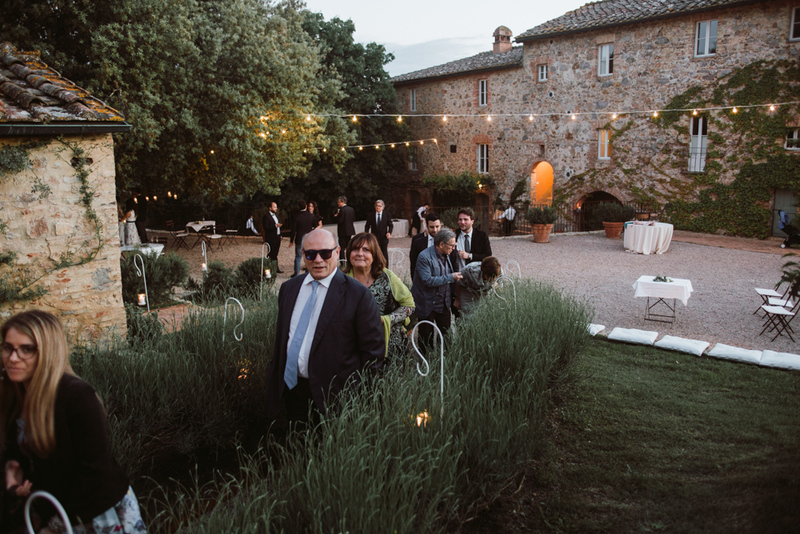 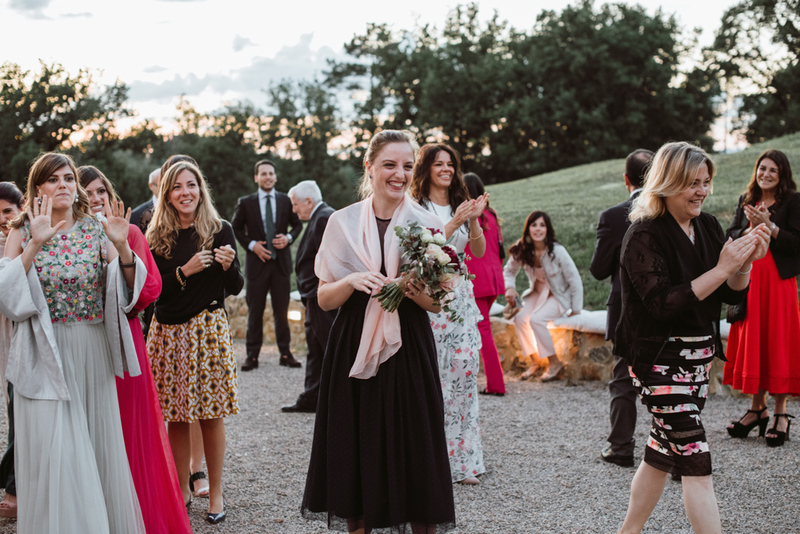 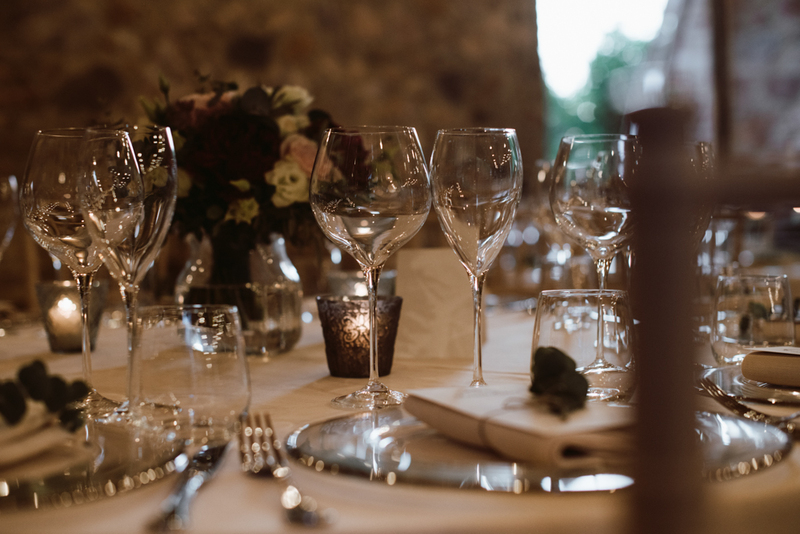 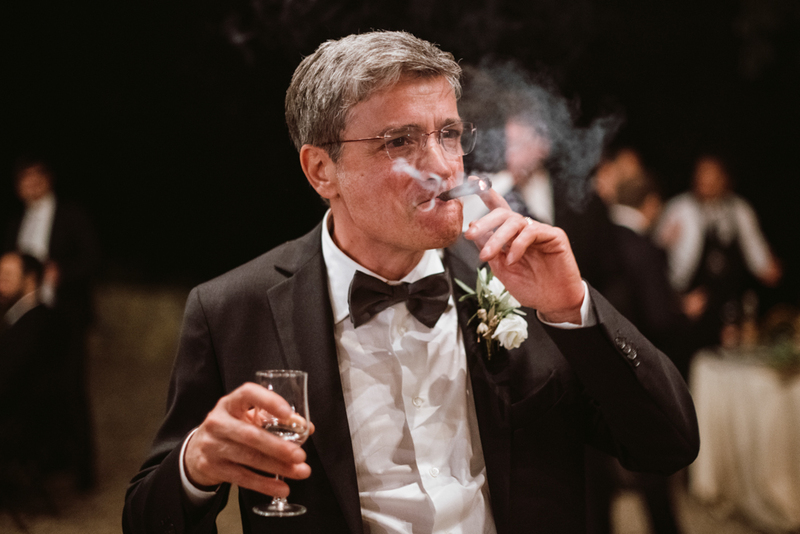 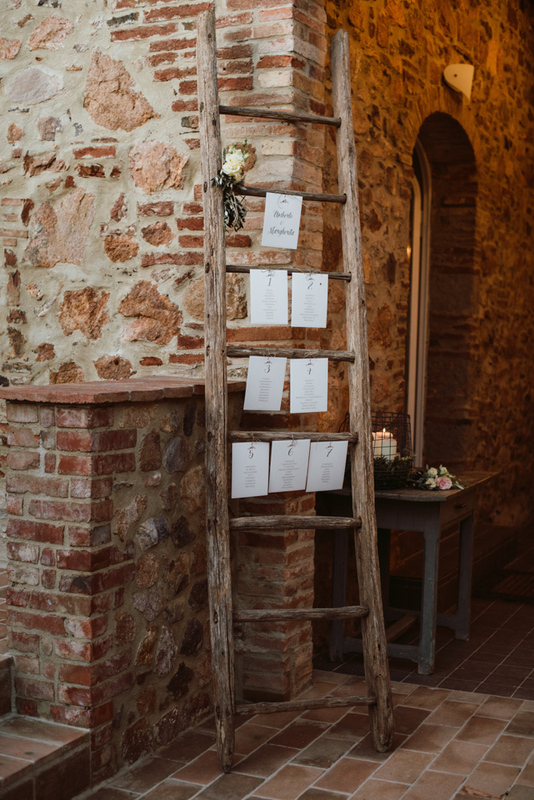 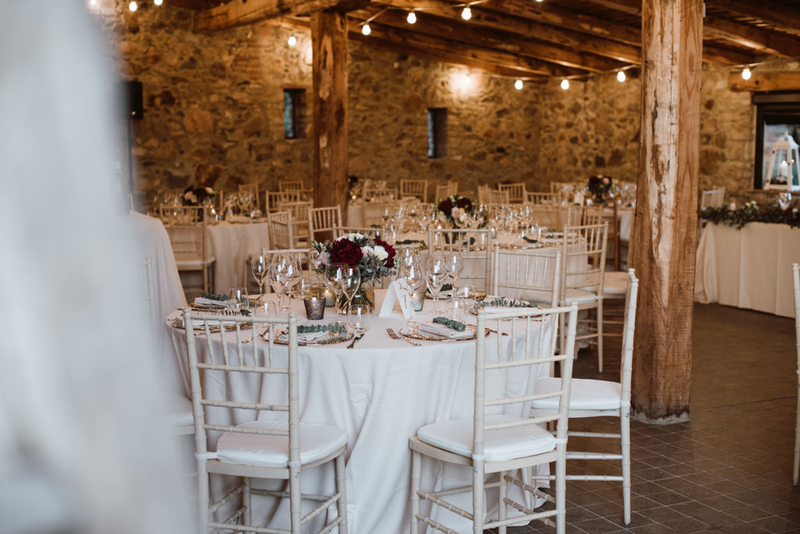 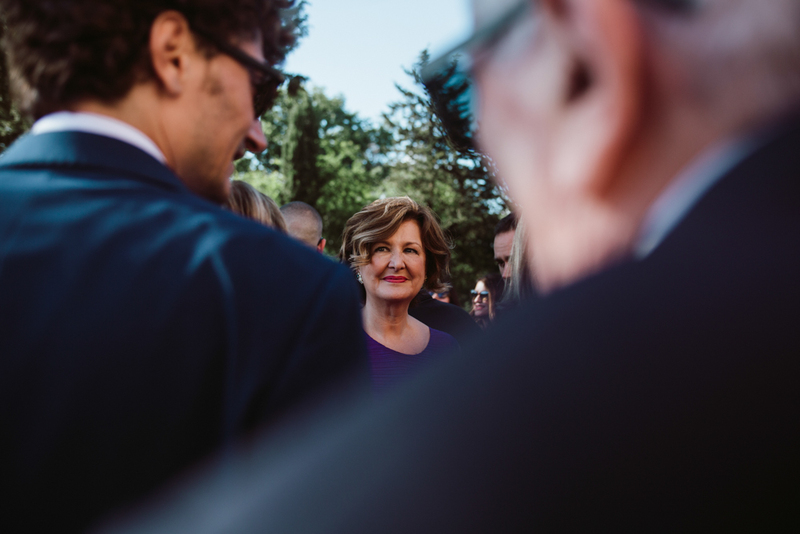 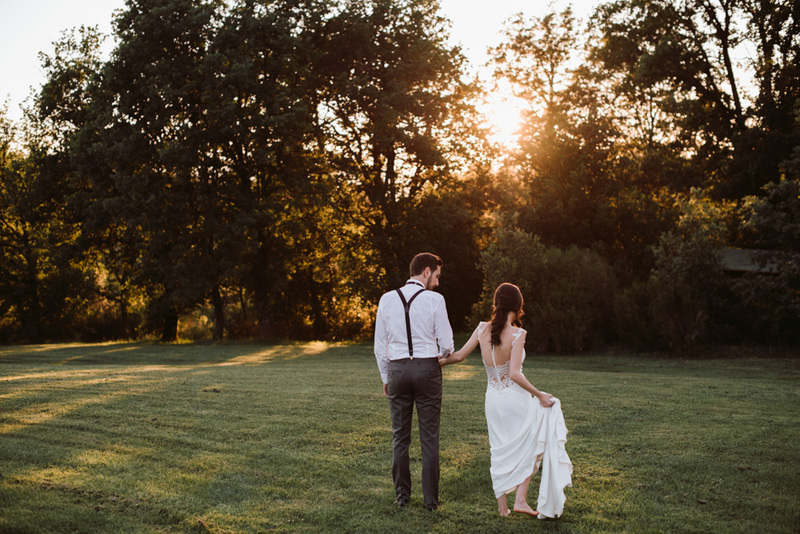 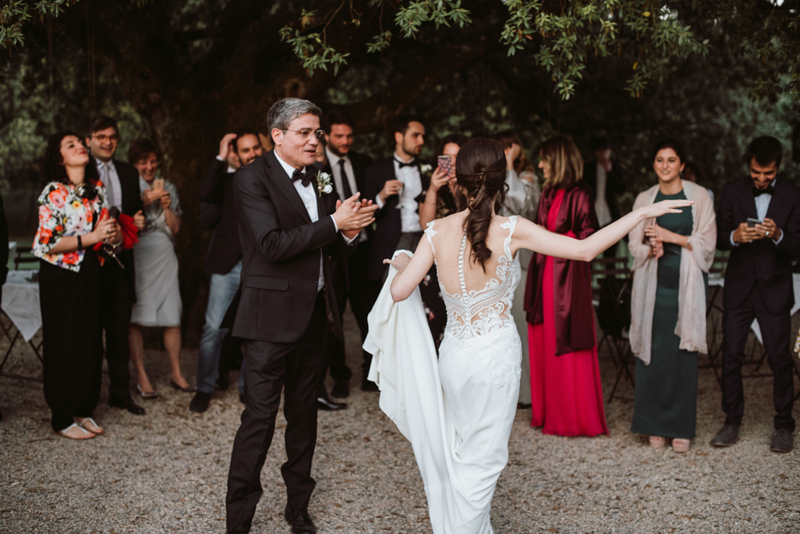 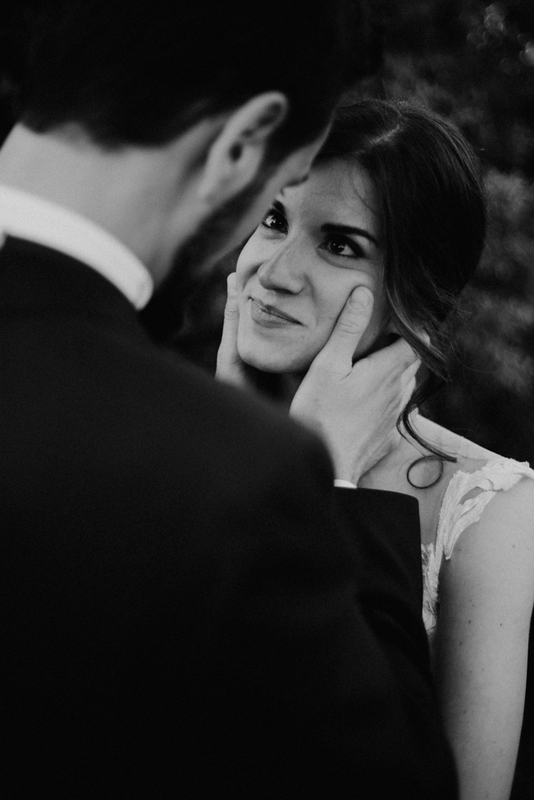 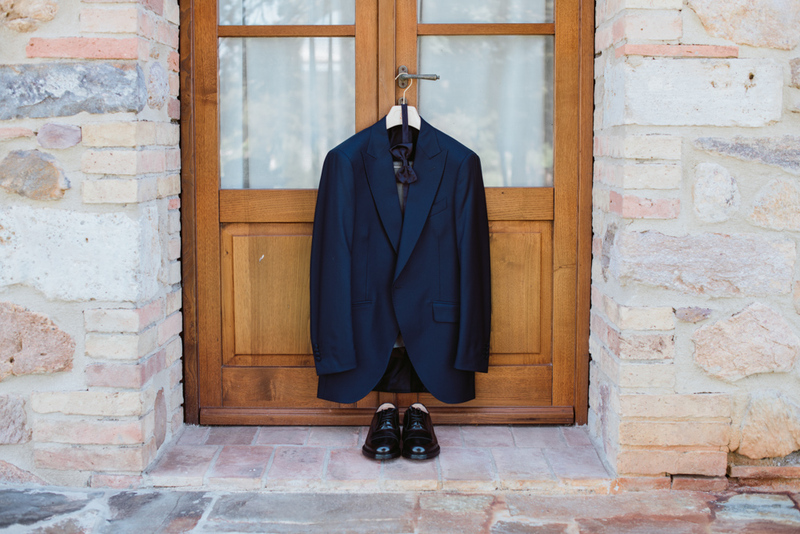 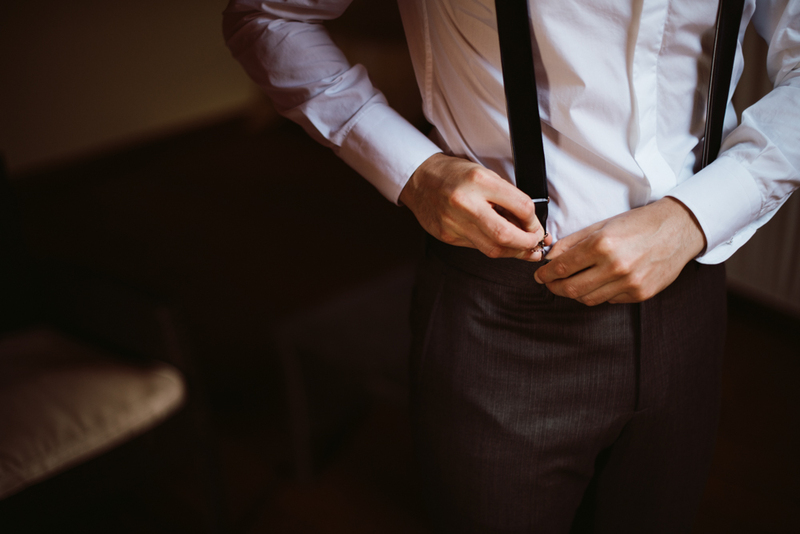 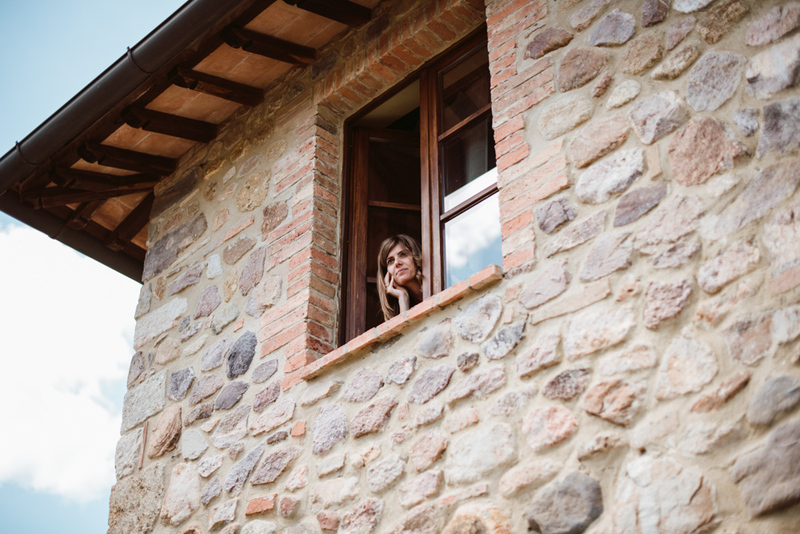 The reception continued at Villa Podernovo, a countryside farmhouse, in a relaxed but refined atmosphere. 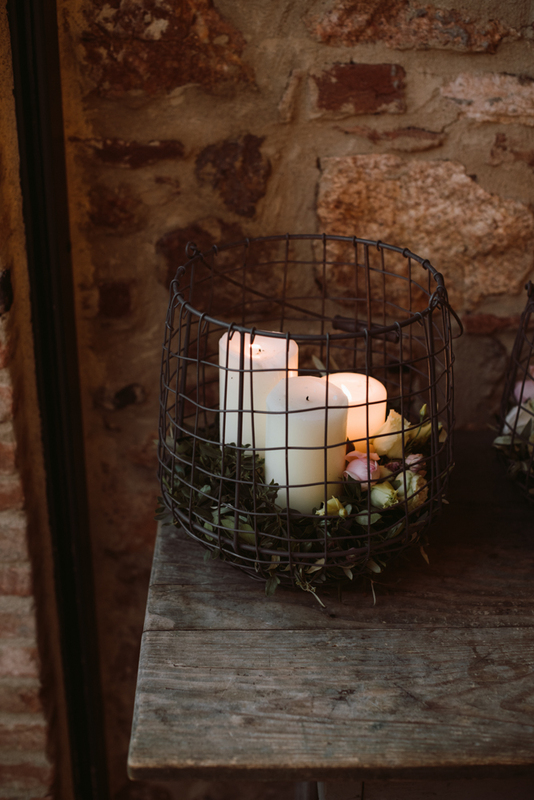 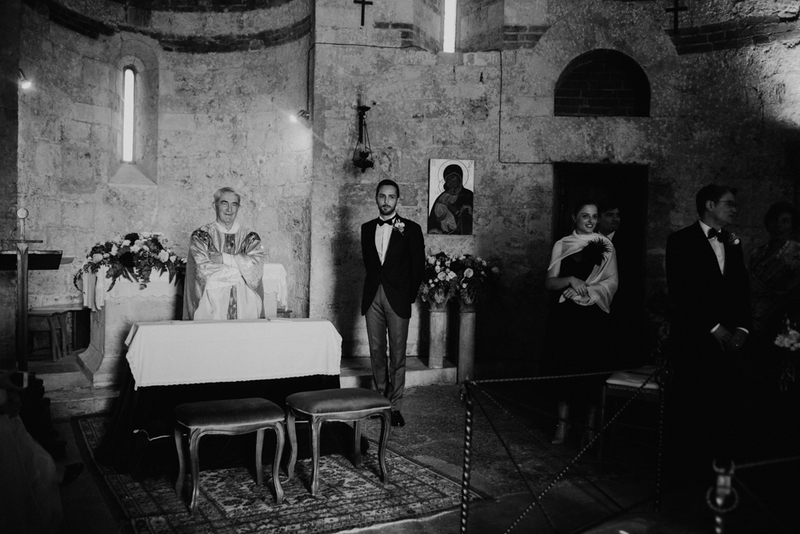 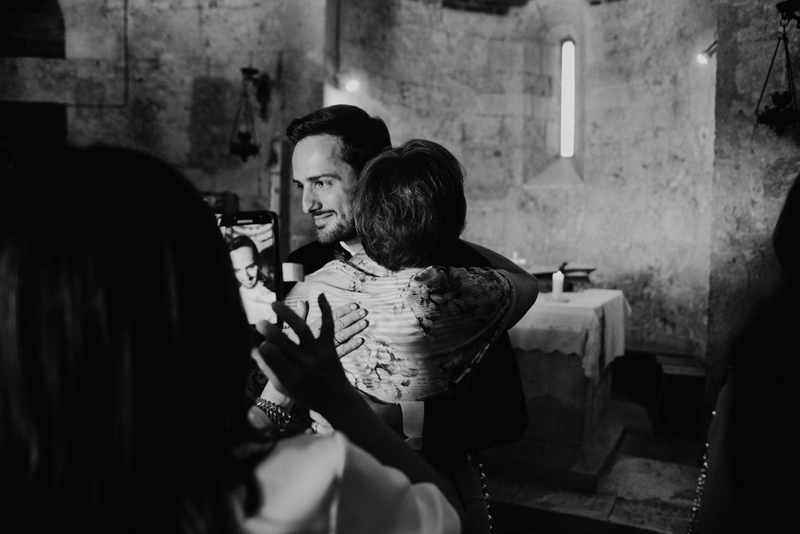 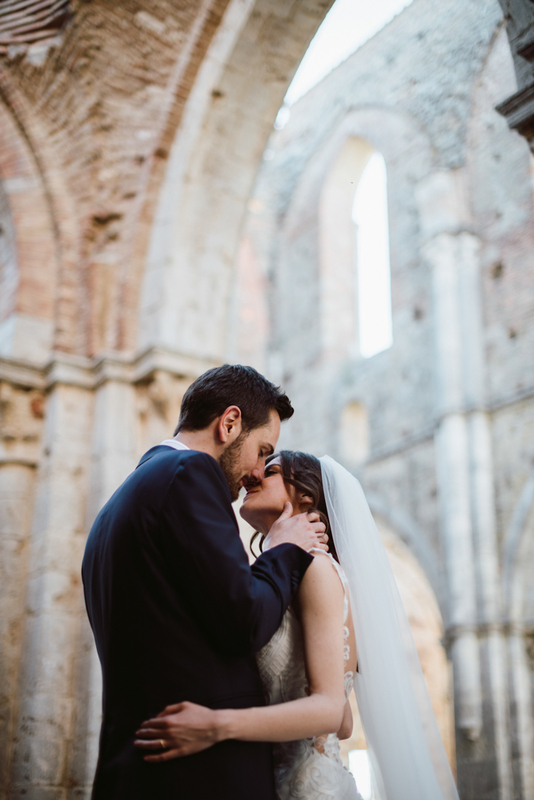 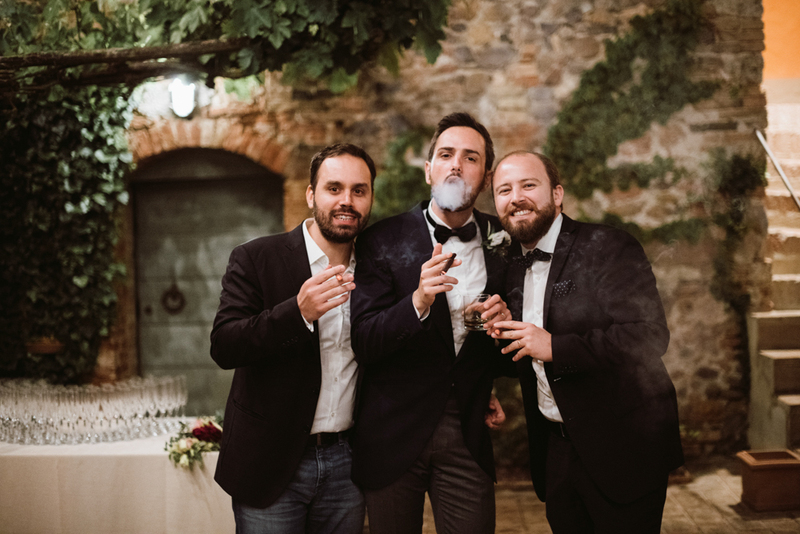 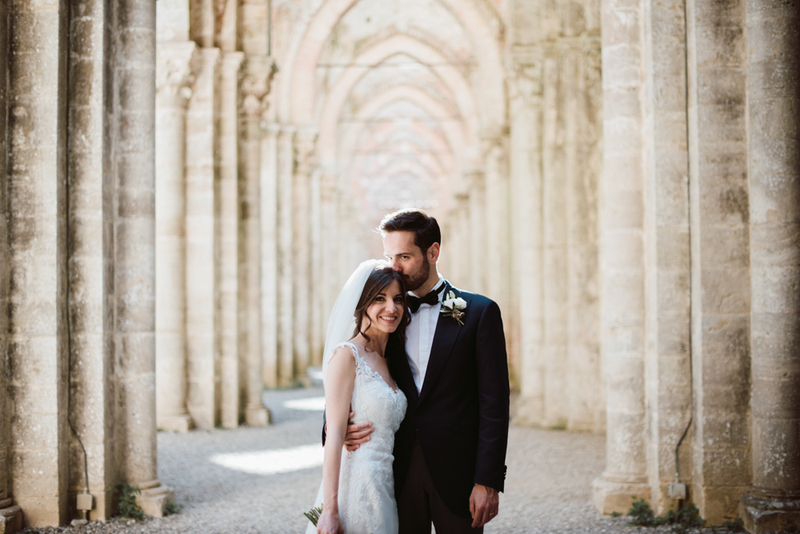 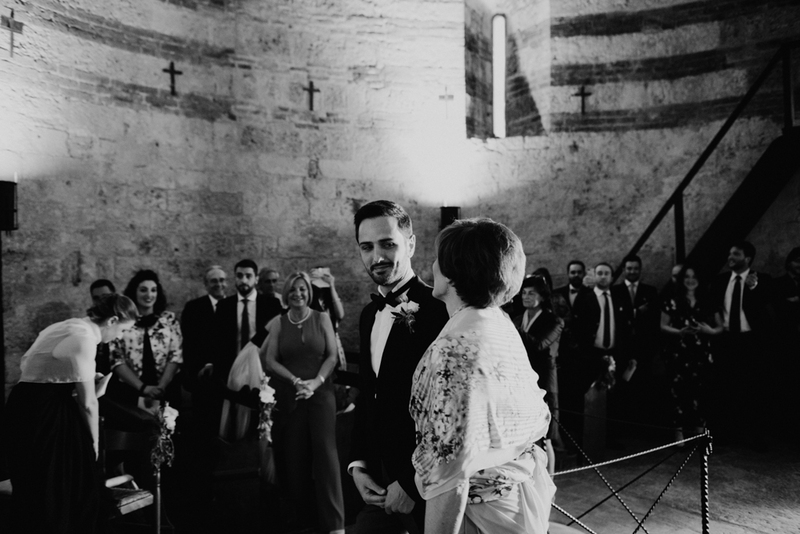 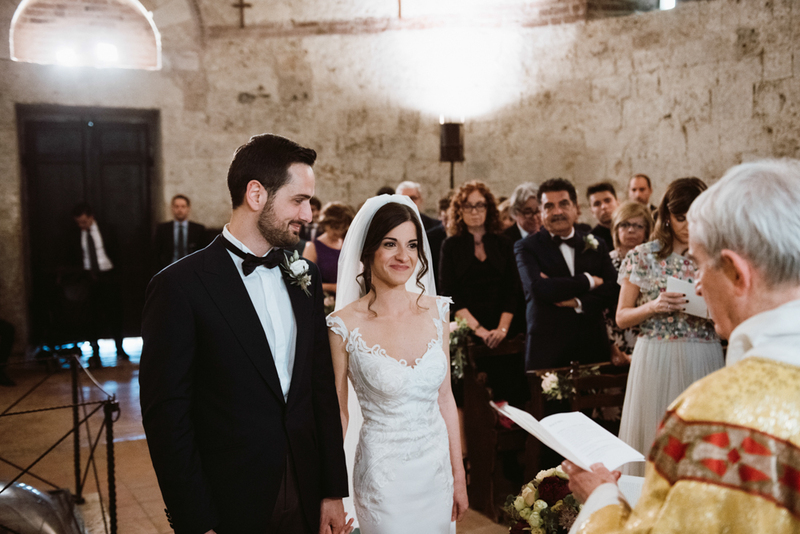 We could’t ask for a better couple for our first wedding at San Galgano Abbey: they trusted us in every way, they were smiling, close and thrilled about our work! 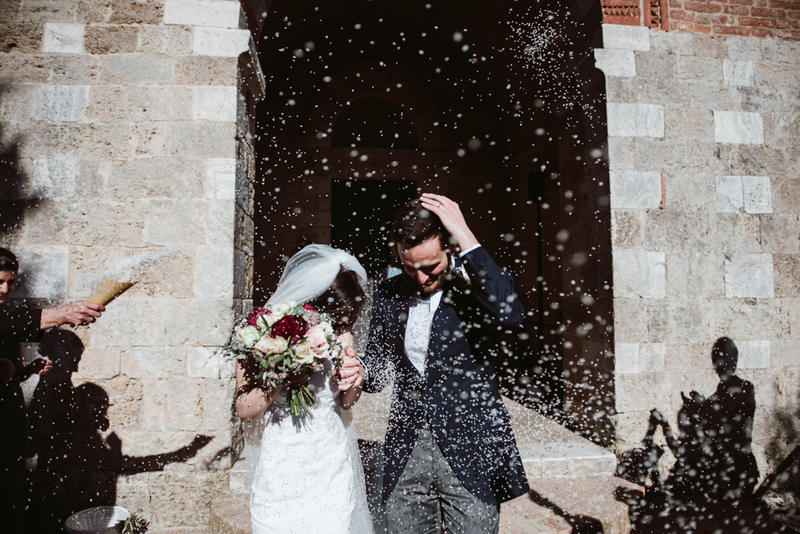 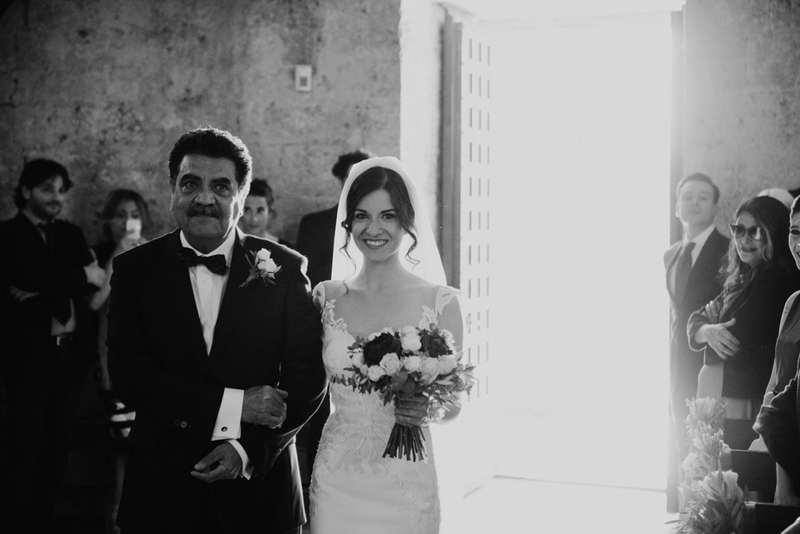 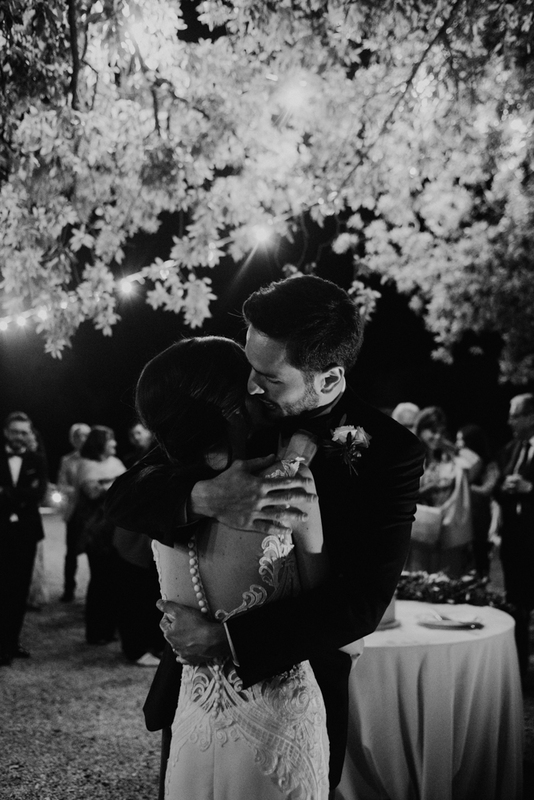 We can say they are perfect, as their wedding in Tuscany has been! 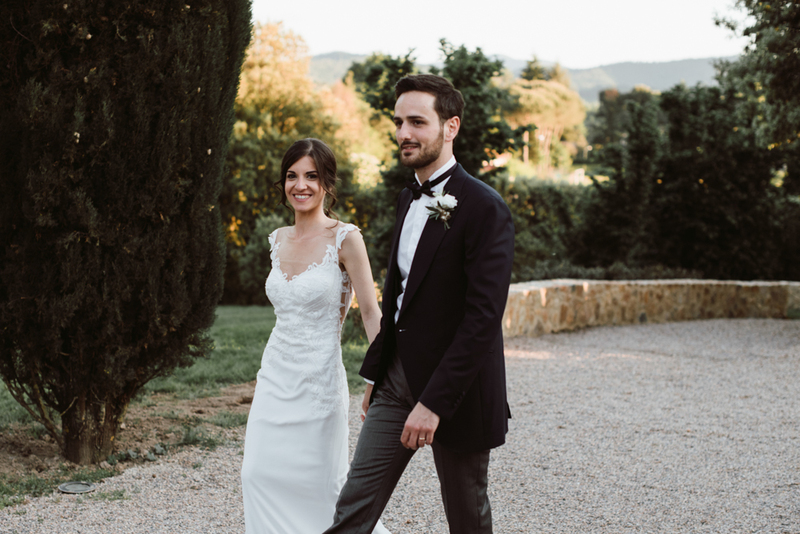 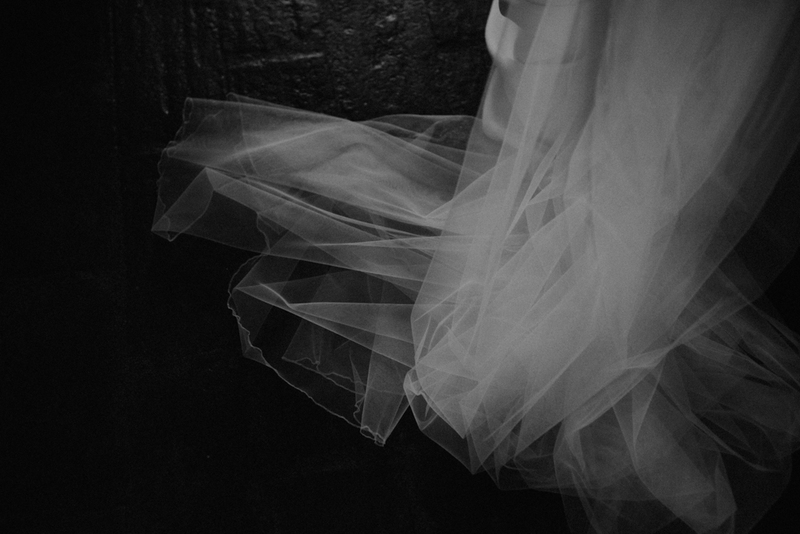 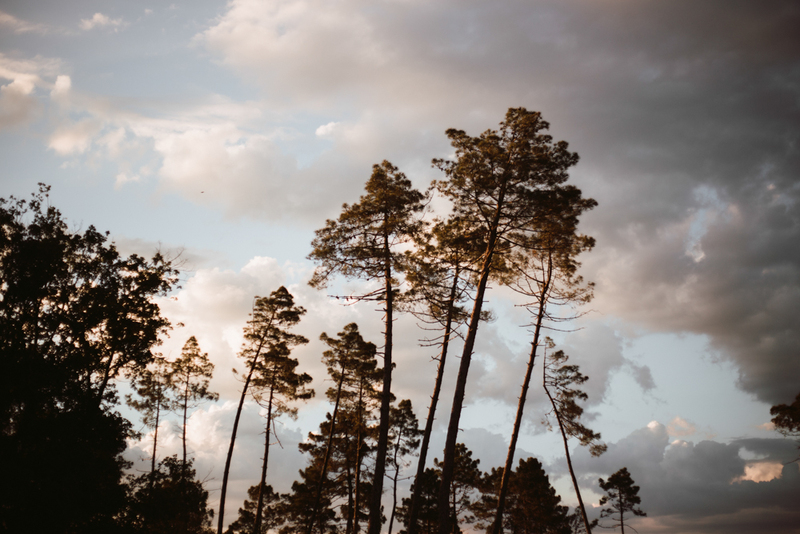 If you would like to have us as photographers for your wedding in Tuscany too, feel free to write us some lines! 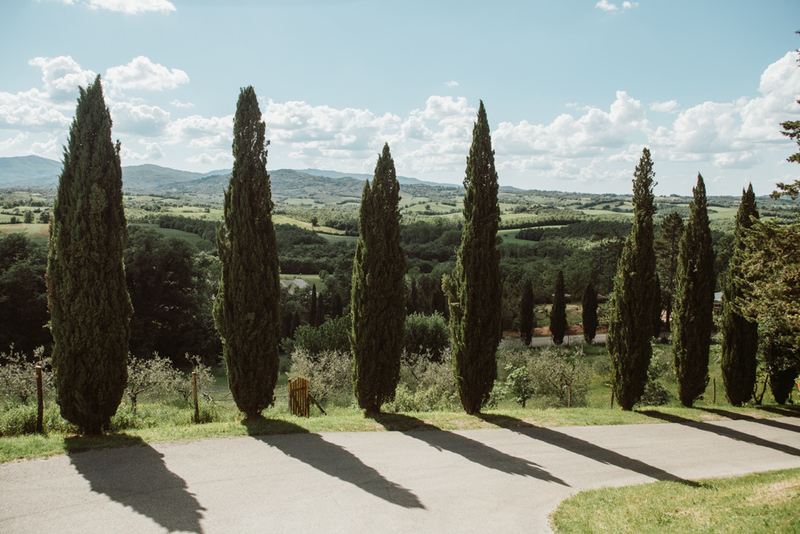 We love this region and we’d be happy to come back soon.